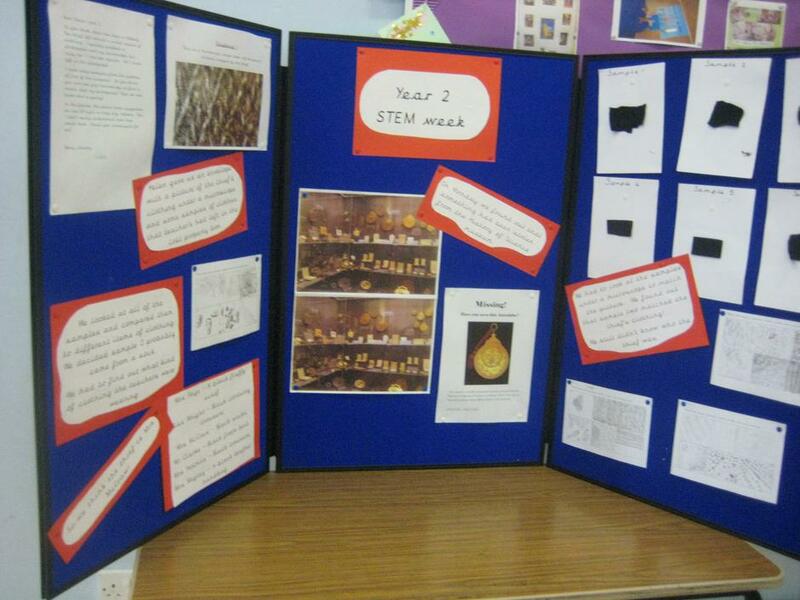 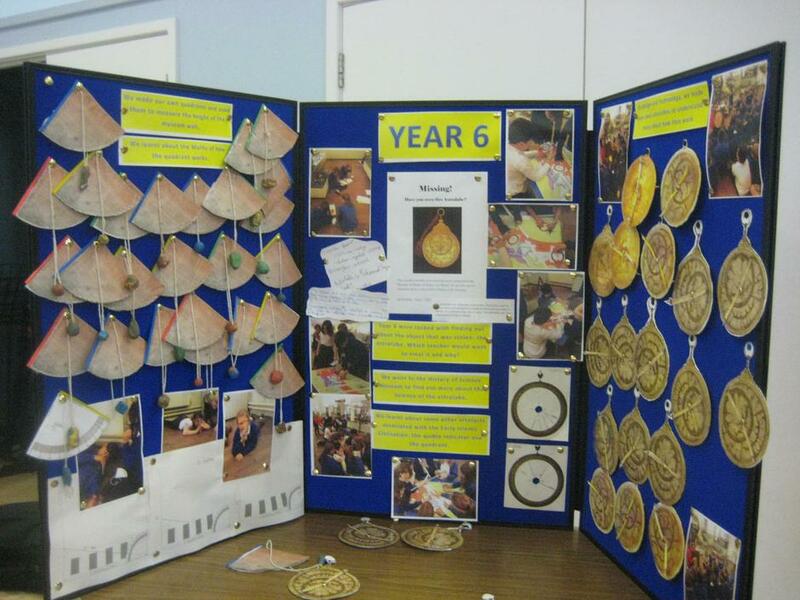 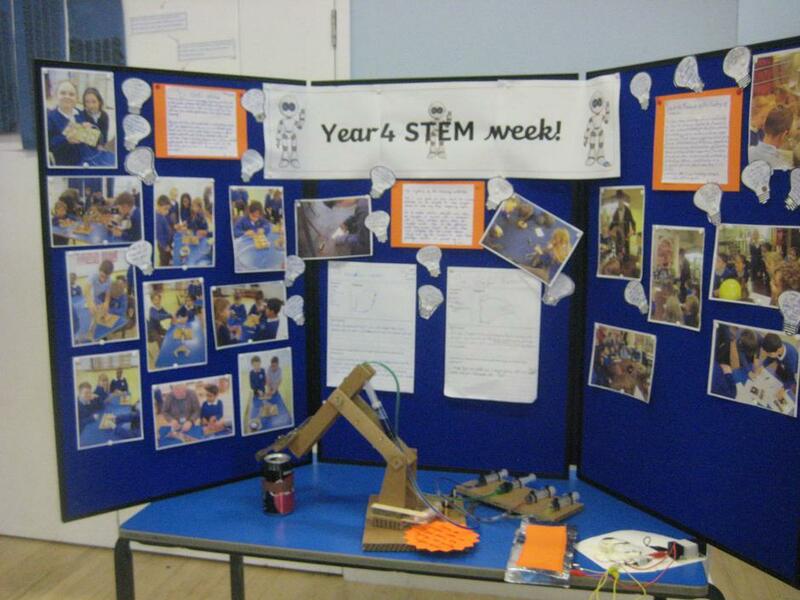 Our STEM week finished with a chance for parents to see our work, whilst having tea and cake! 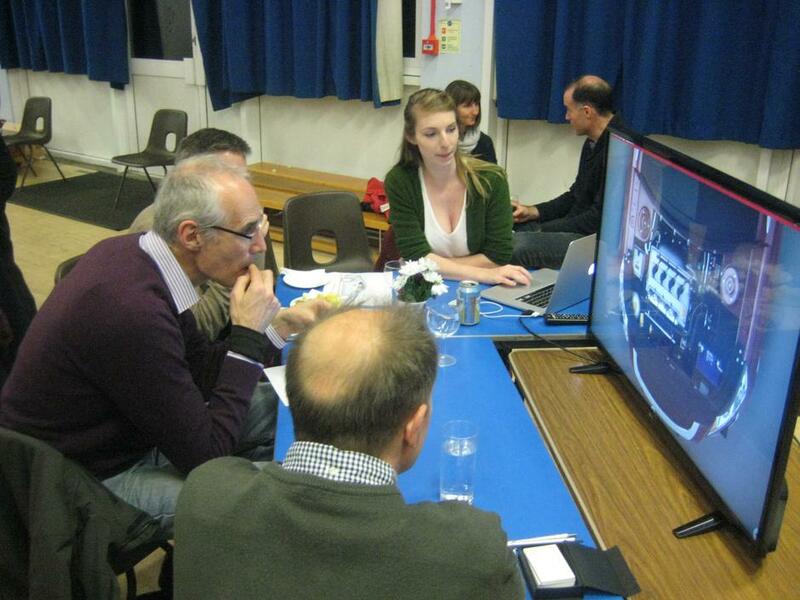 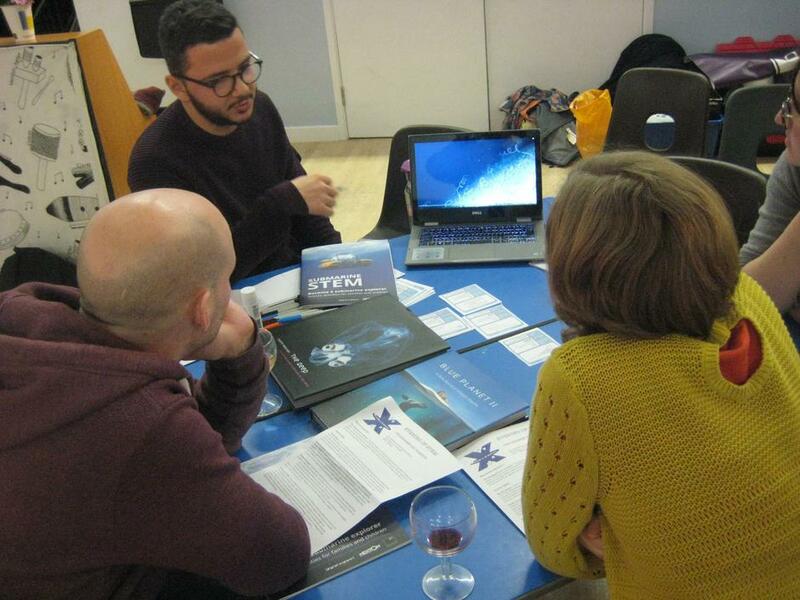 Here are the final presentations if you missed this opportunity. 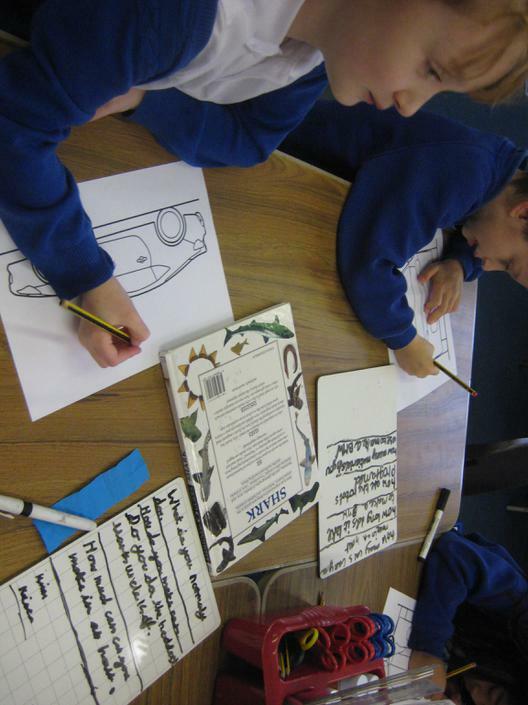 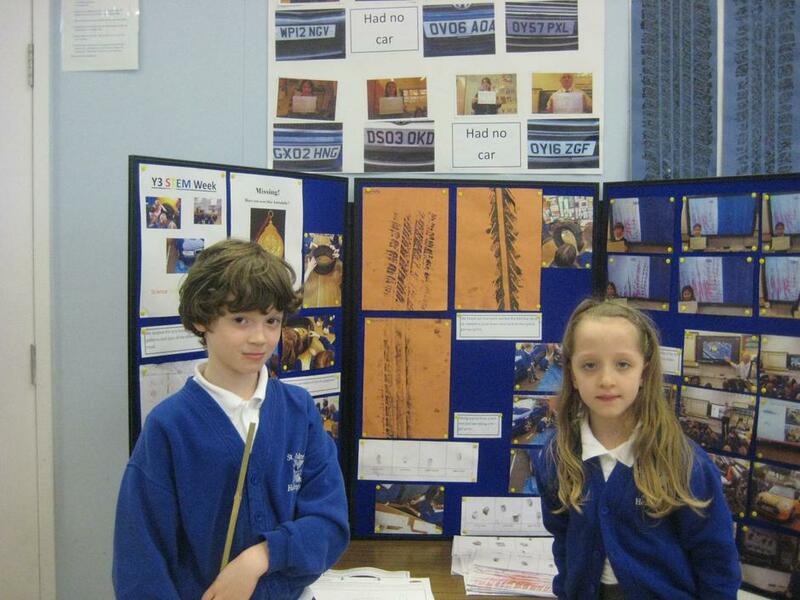 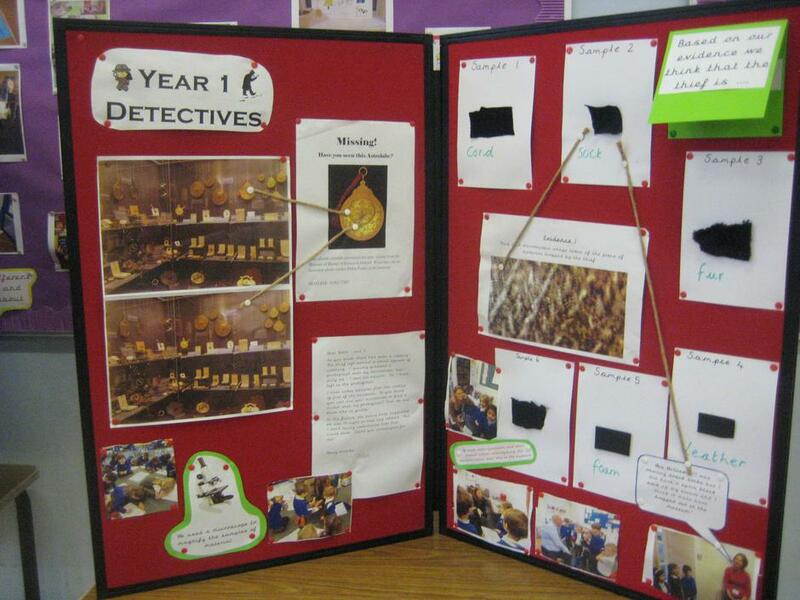 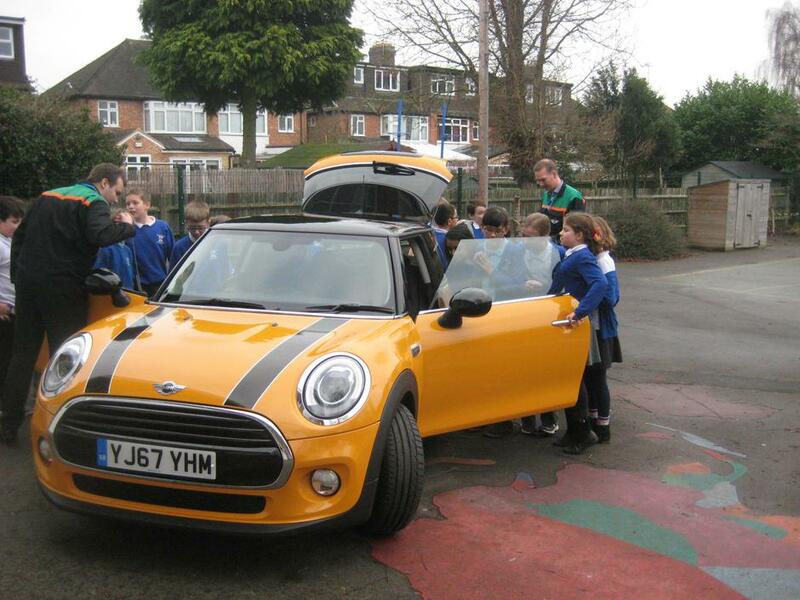 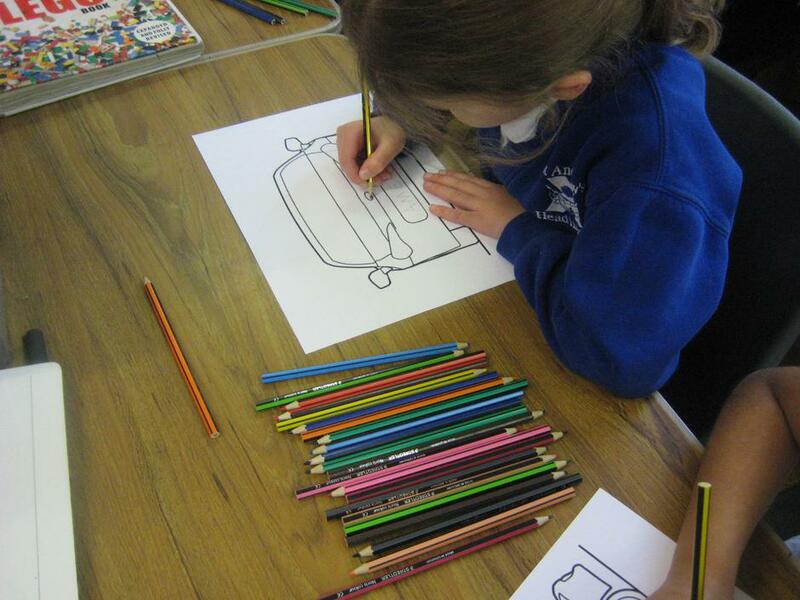 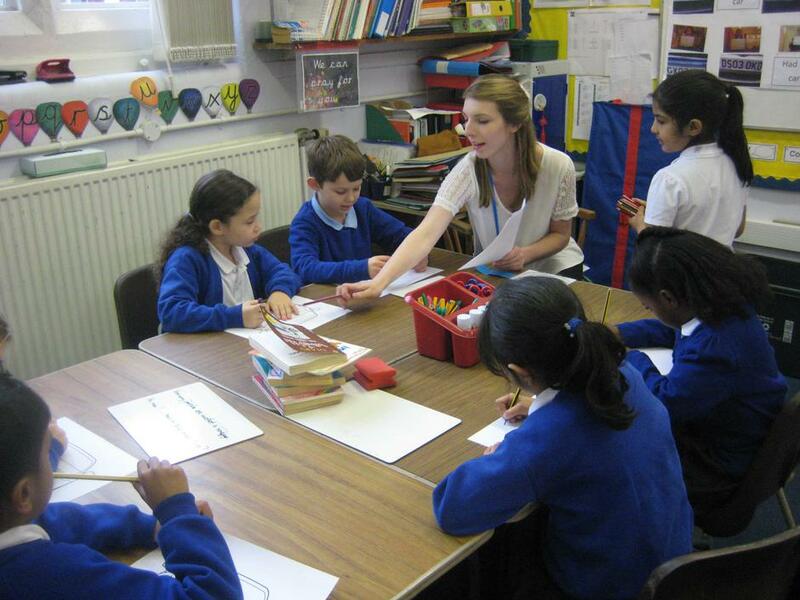 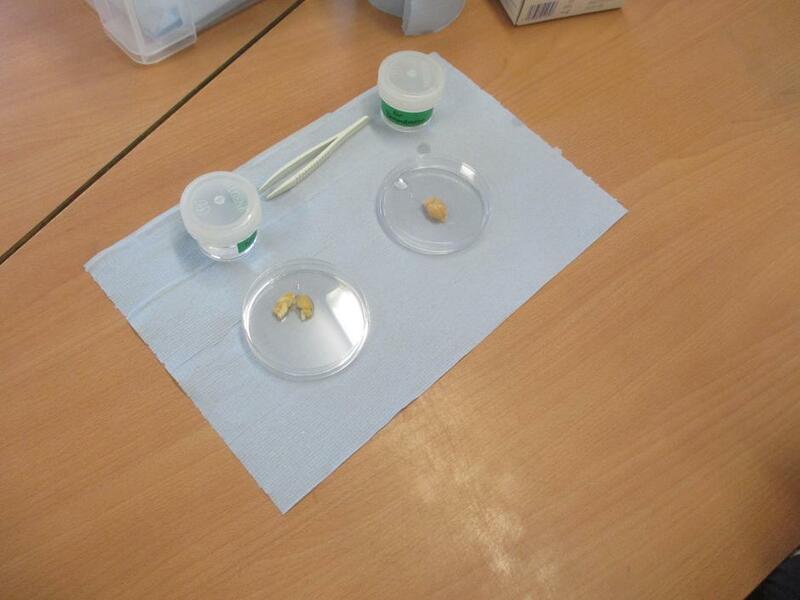 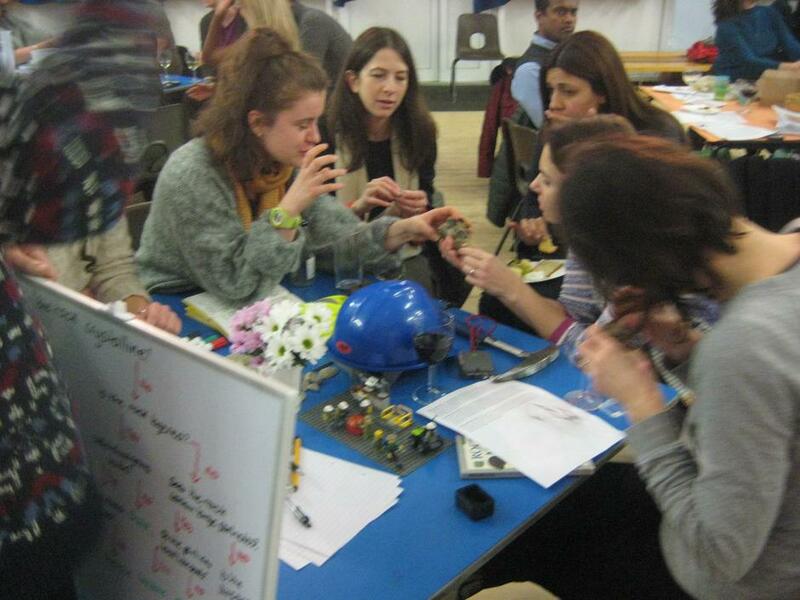 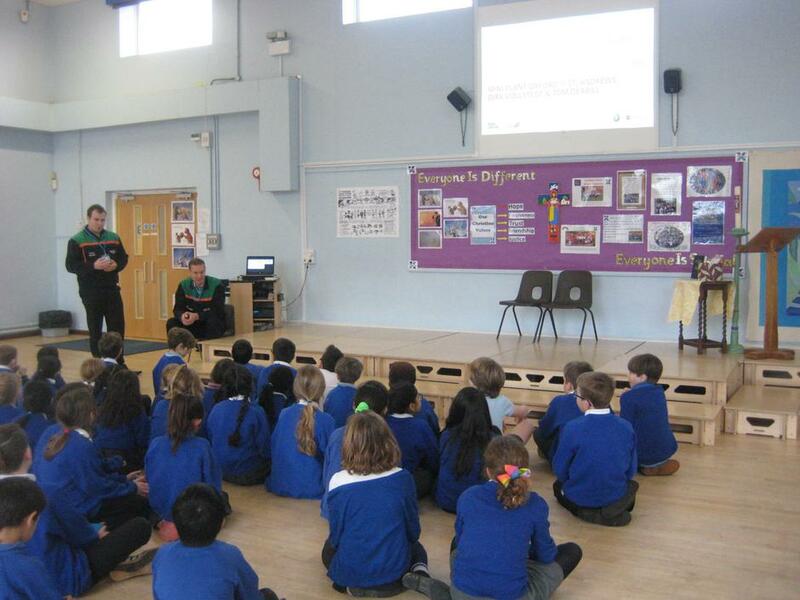 St. Andrew's has been involved in detective work this STEM week: who stole the item from the museum? 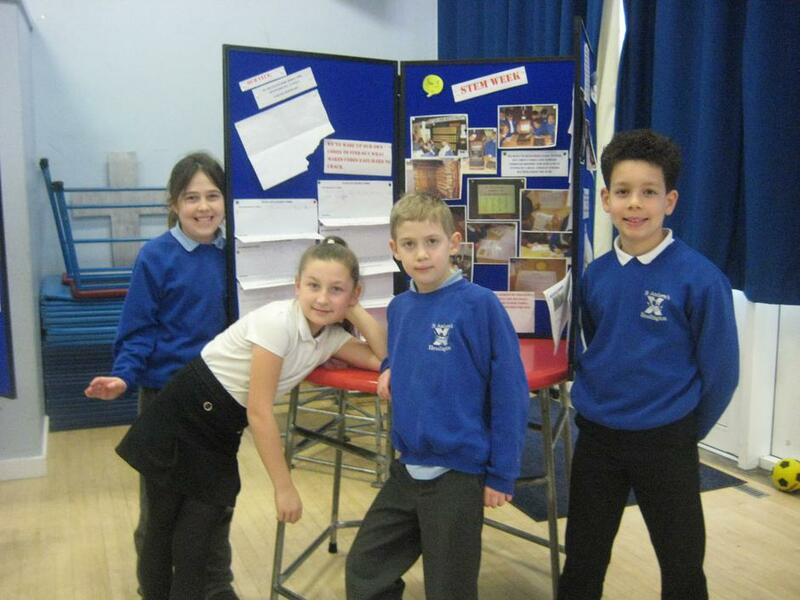 Our teachers were prime suspects! 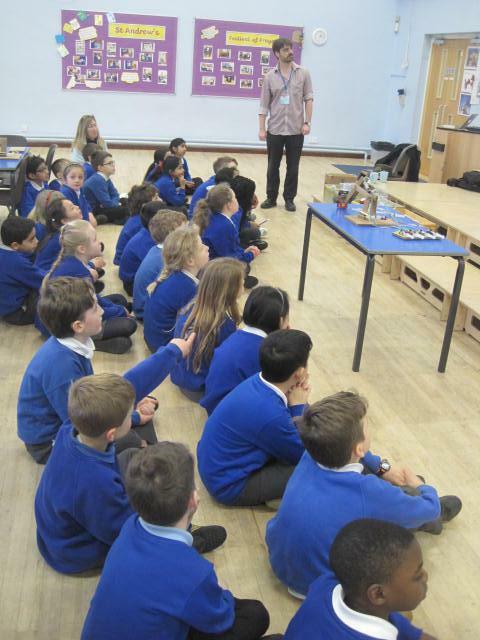 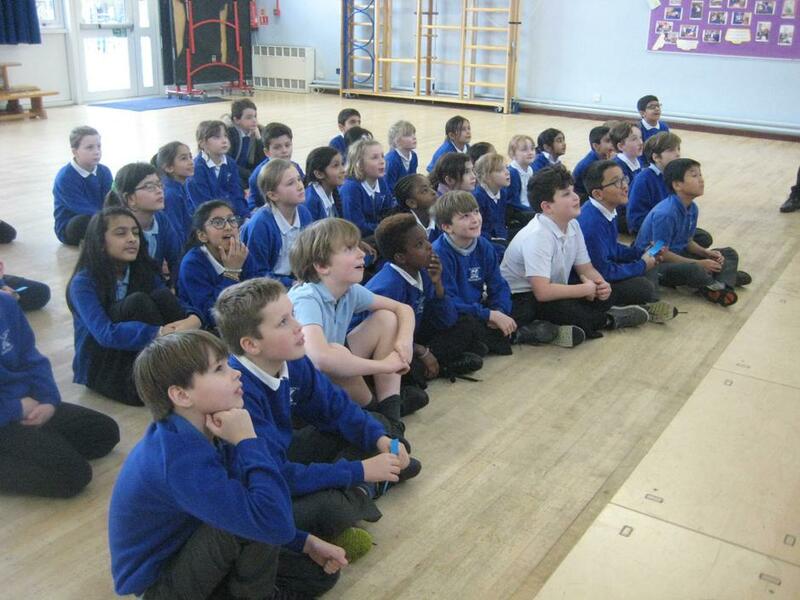 We had an assembly to present our findings to Helen from the museum, after she had given each class some evidence to investigate at the start of the week. 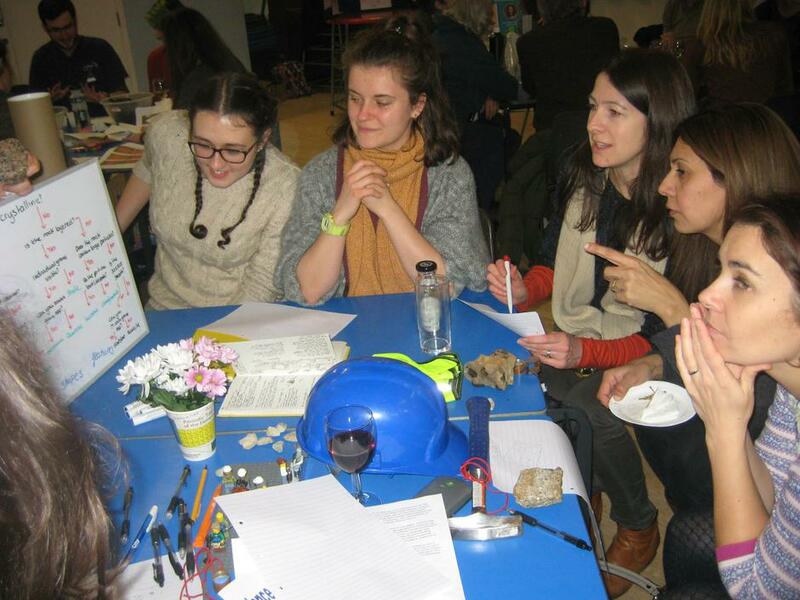 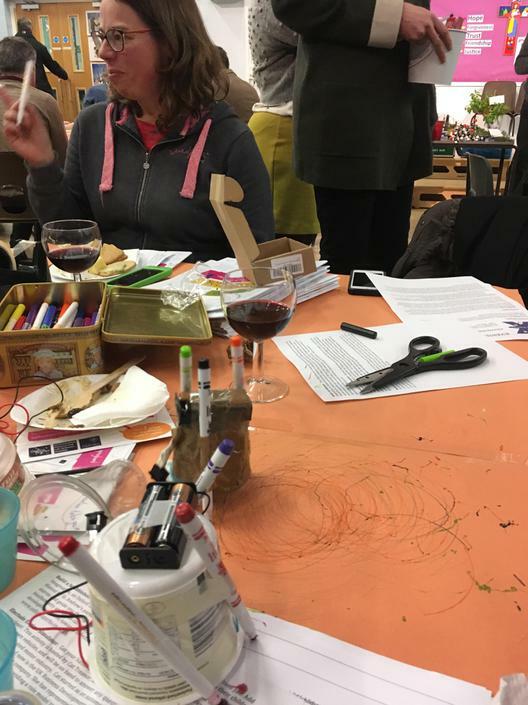 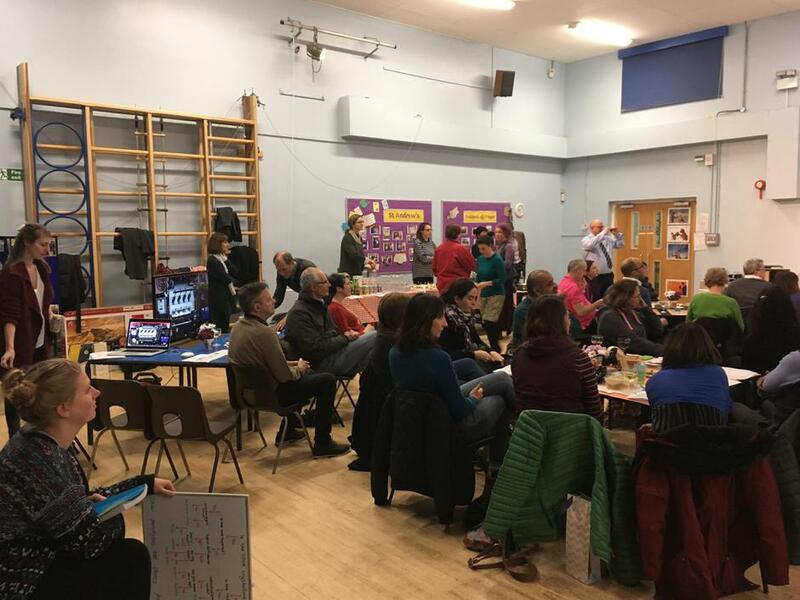 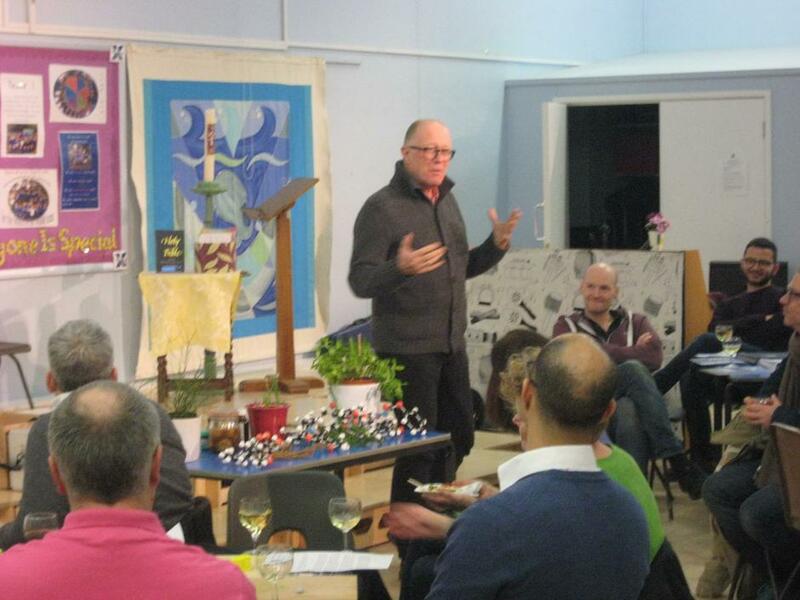 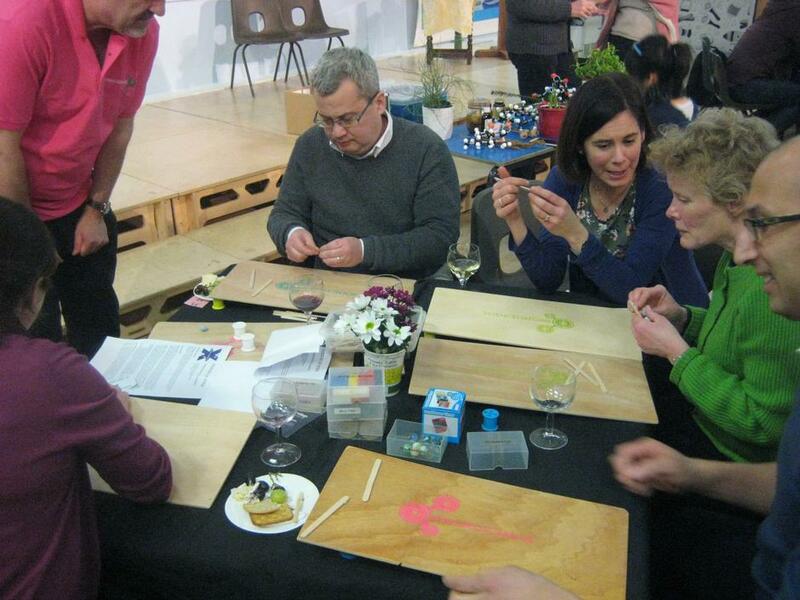 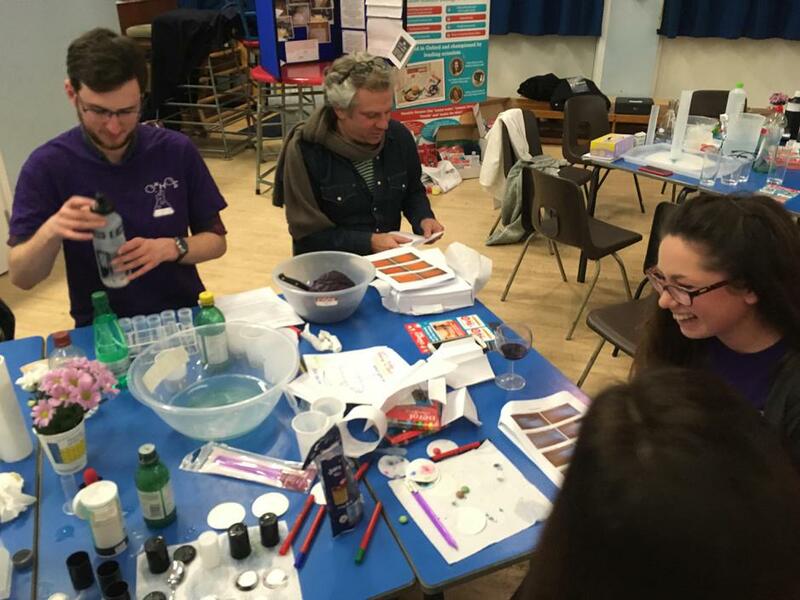 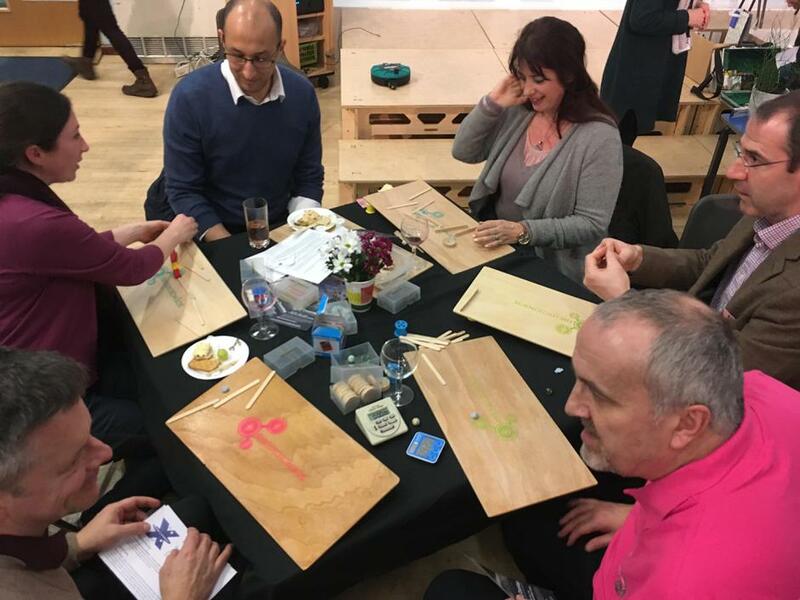 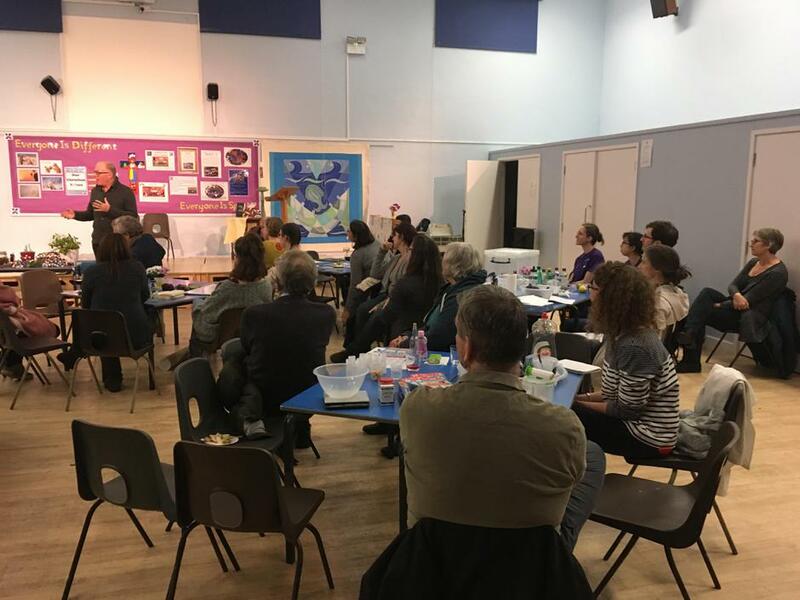 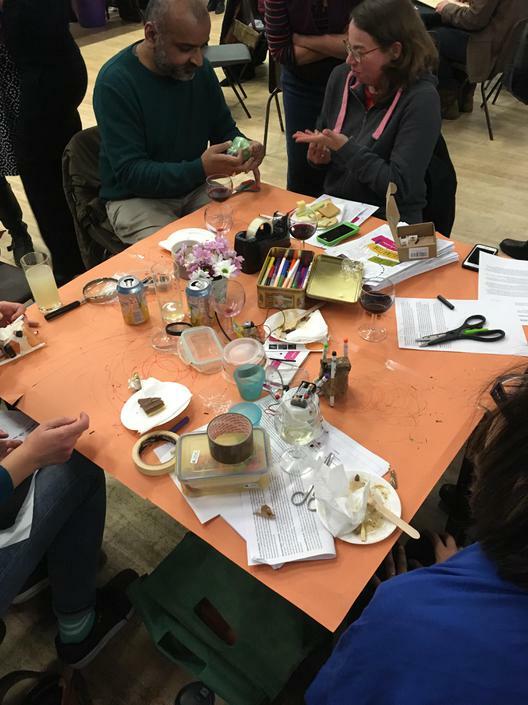 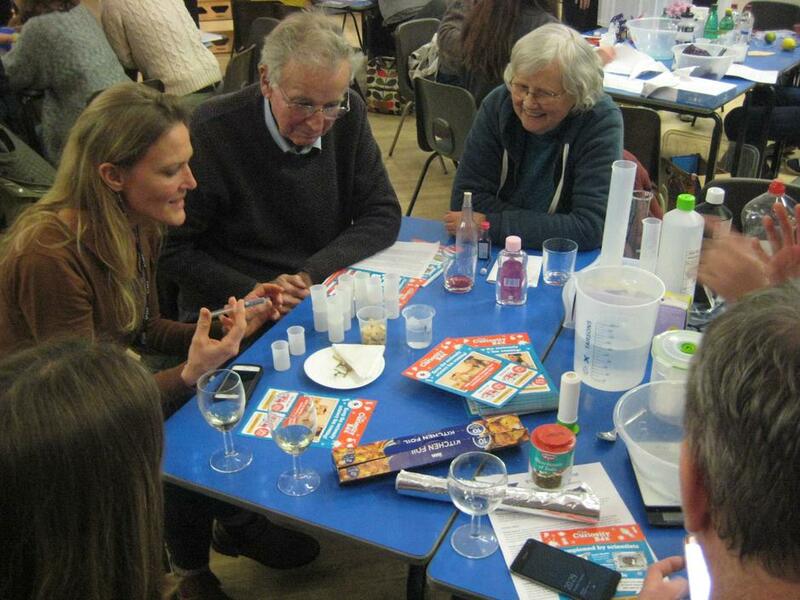 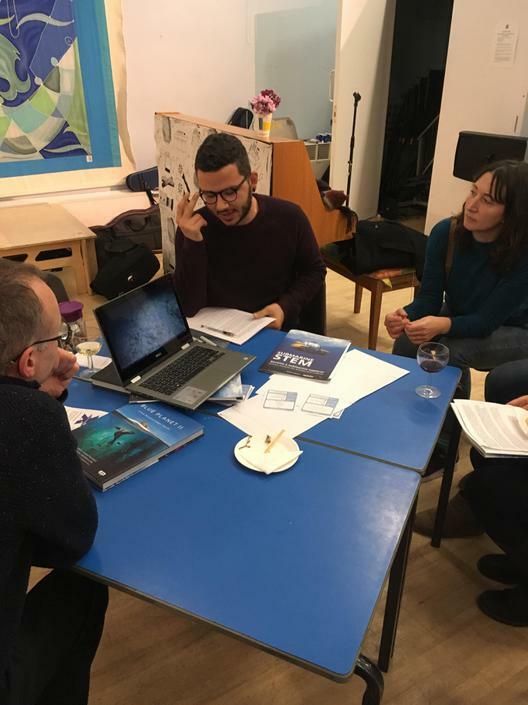 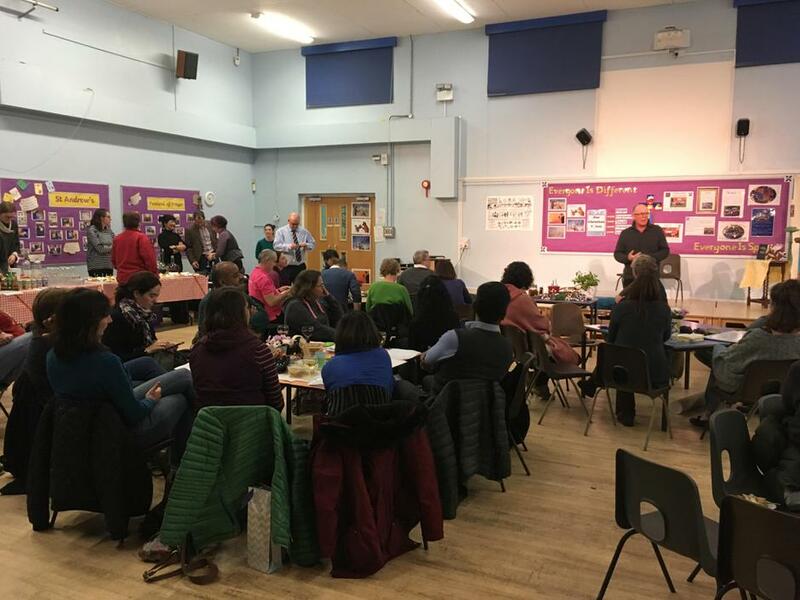 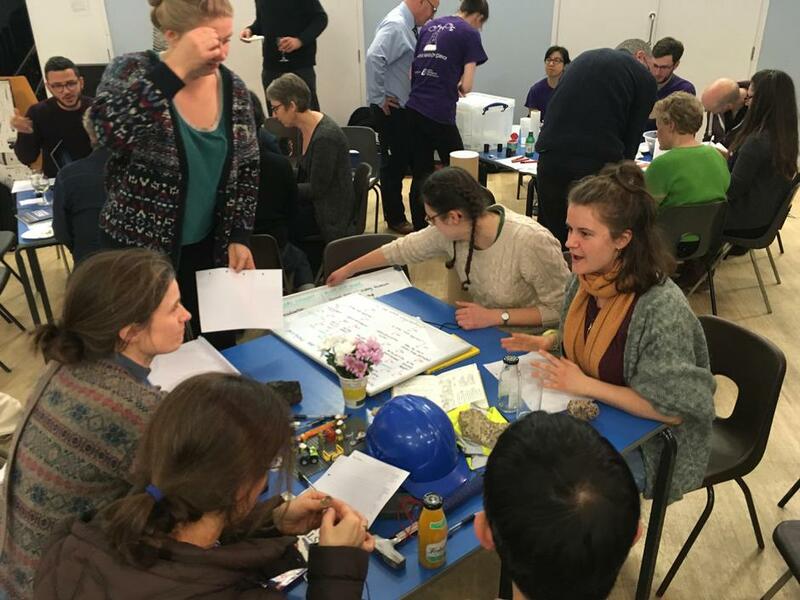 St. Andrew's parents have also had their chance to learn about STEM - with a talk about the healing power of plants by Timothy Walker, followed by a time to have a go at some STEM activities themselves: marble mazes with Mike Dennis, Hands on Science with Beatrice Tyrell and her team, potions and pressure with Metta Pratt of Curiosity Box, submarine STEM with Dr. Paris Stefanoudis, building scribblebots with Dr. Delia O'Rouke and Dr. Tess Lambe, electude engine simulator with Cat Treanor and rock around the clock hosted by Oxford University's Earth Sciences Department. 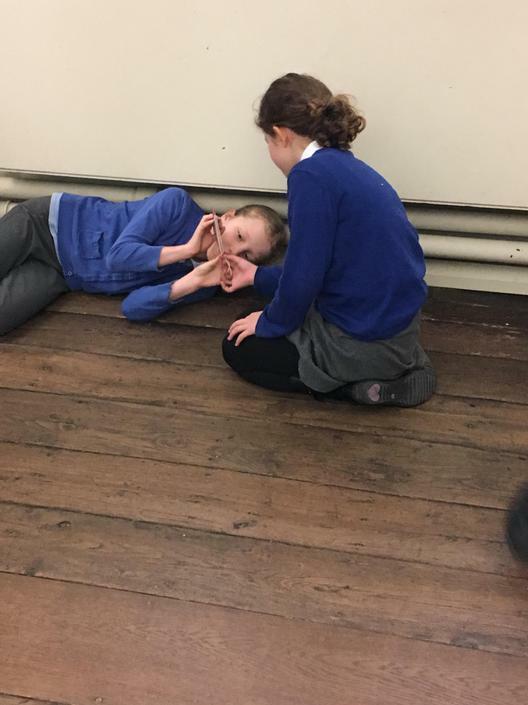 Year 5 have been to Bletchley Park to find out about coding and have been solving coding problems all week. 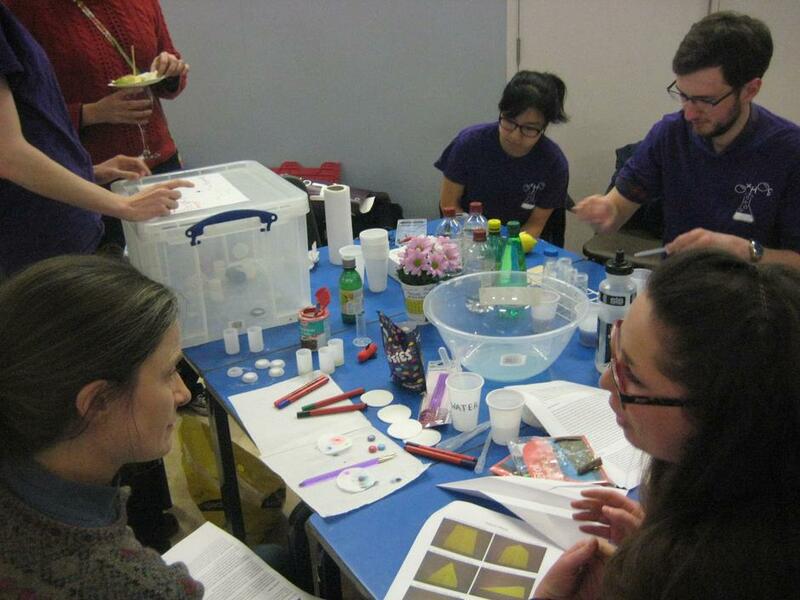 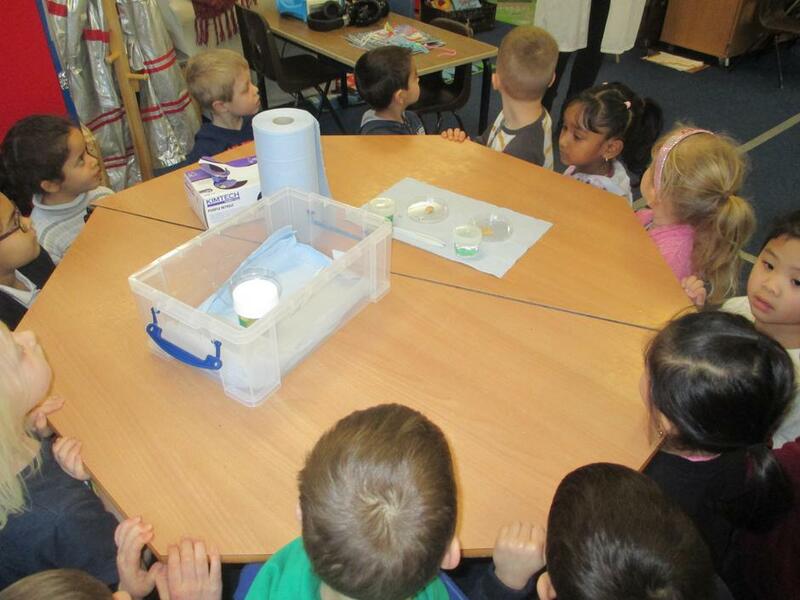 We also had a chemistry workshop to find out about the many colours that make up different inks. 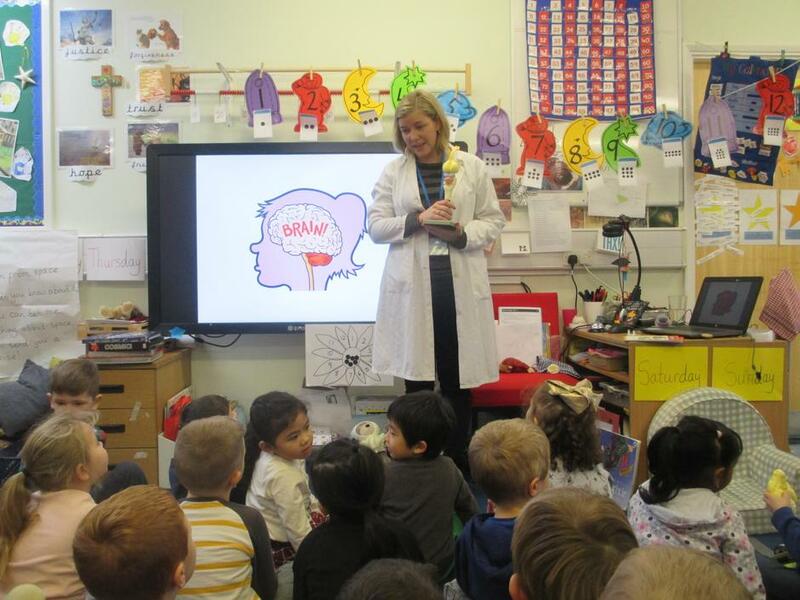 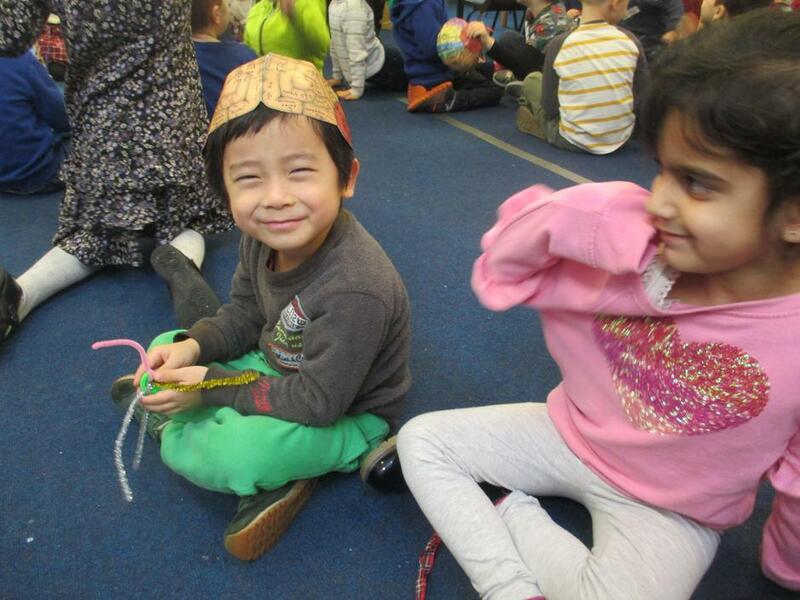 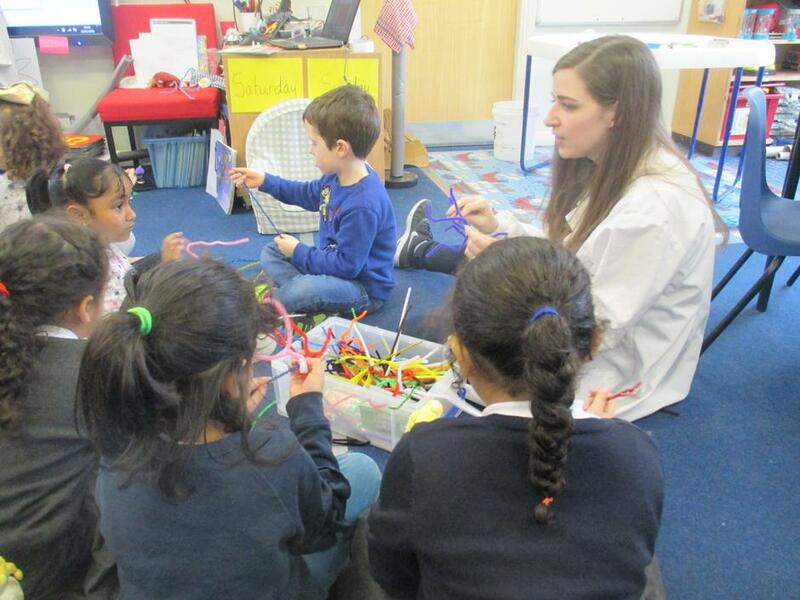 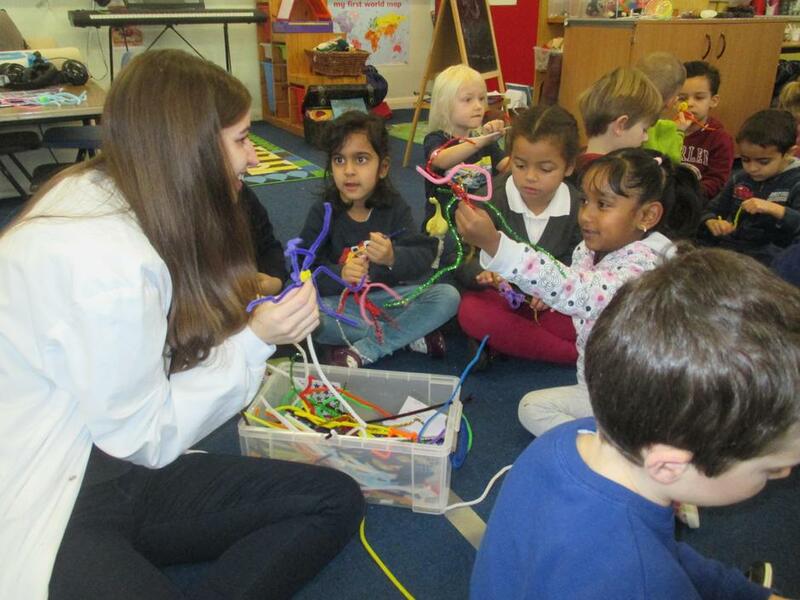 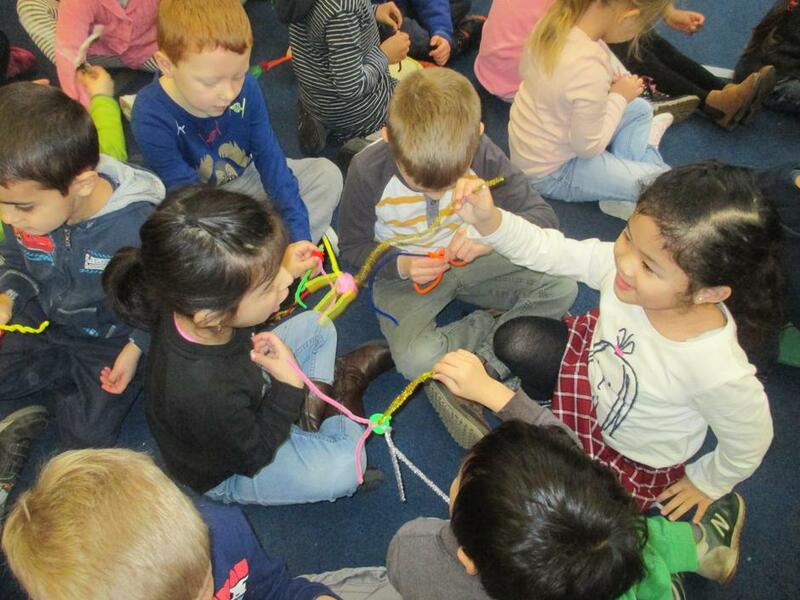 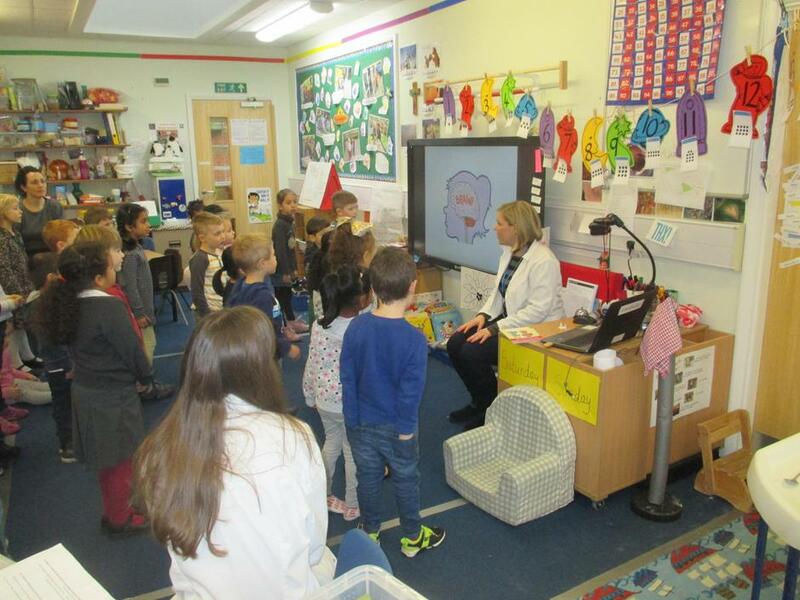 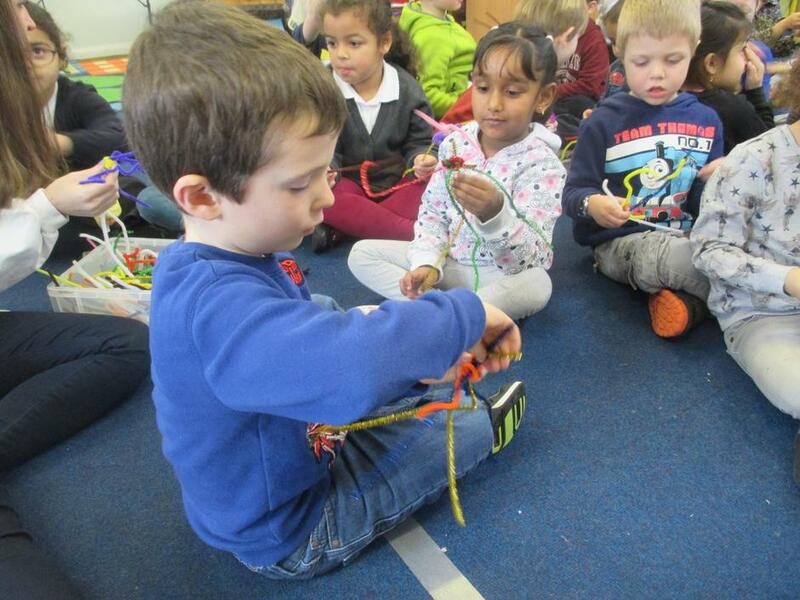 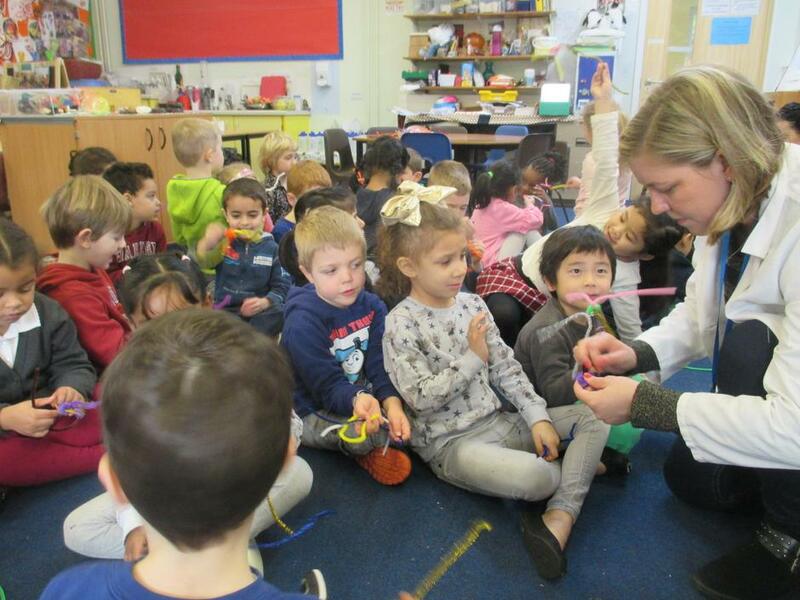 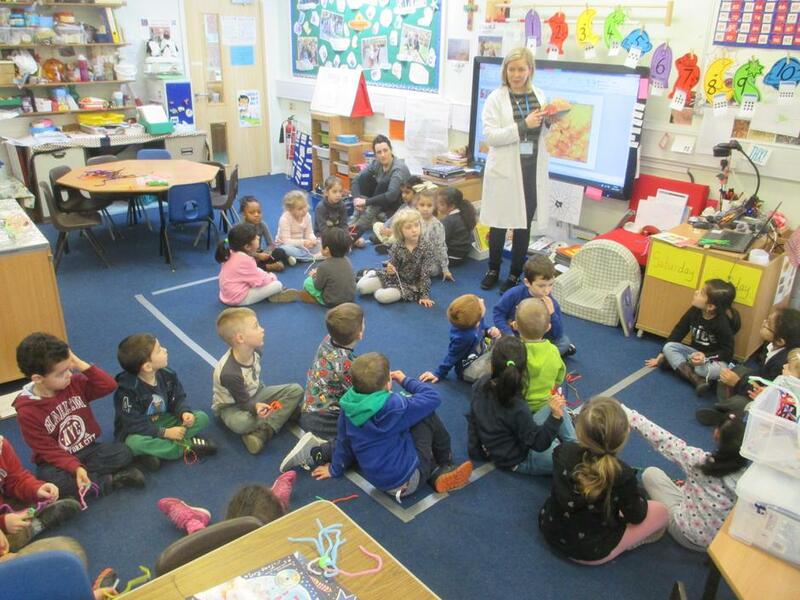 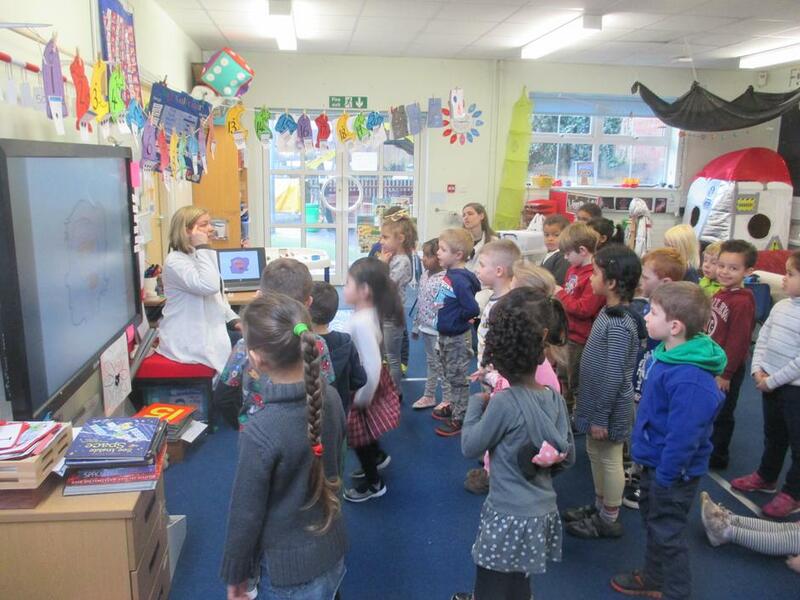 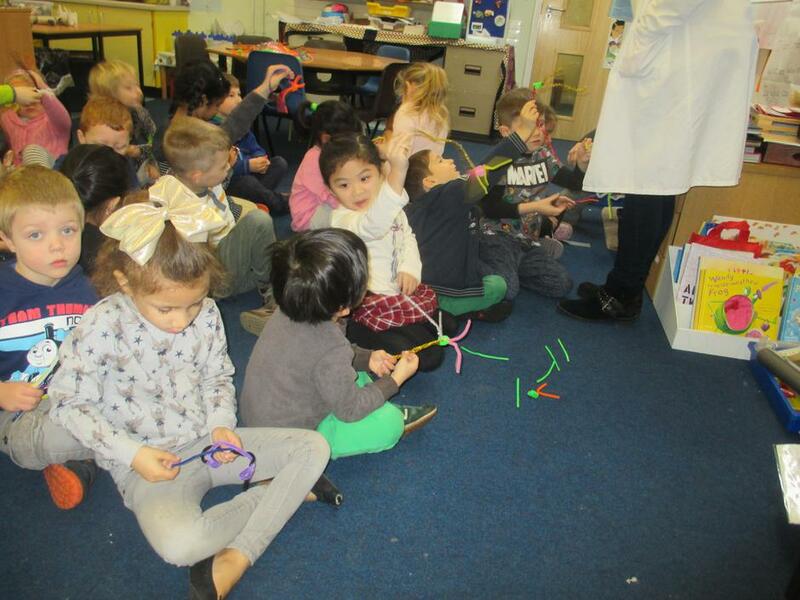 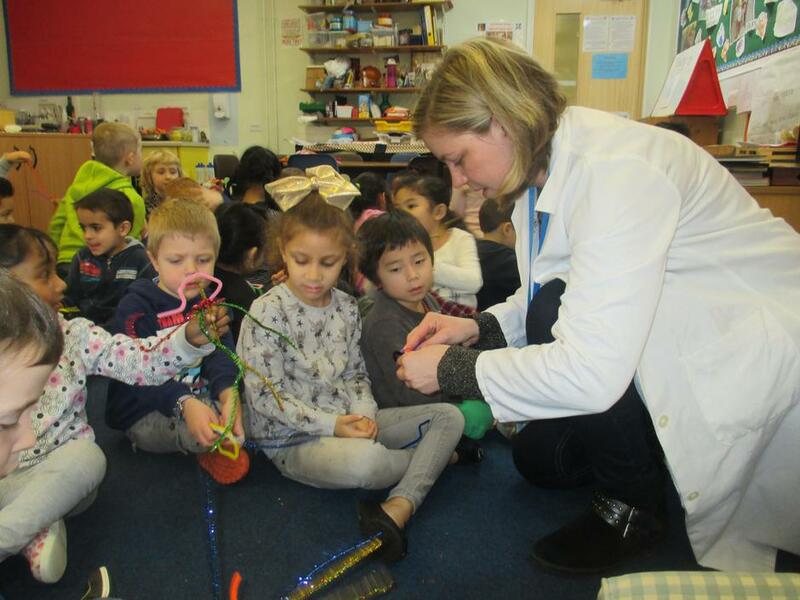 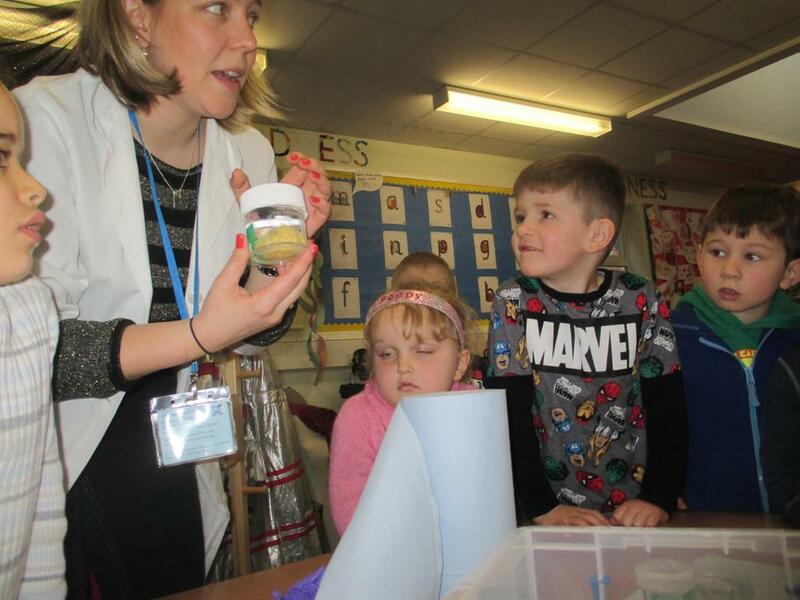 Sunflowers and Rainbows enjoyed learning about the brain with Neuroscientists Dr Natalie Doig and Dr Abbey Holt from the Brain Network Dynamics Unit at the University of Oxford. 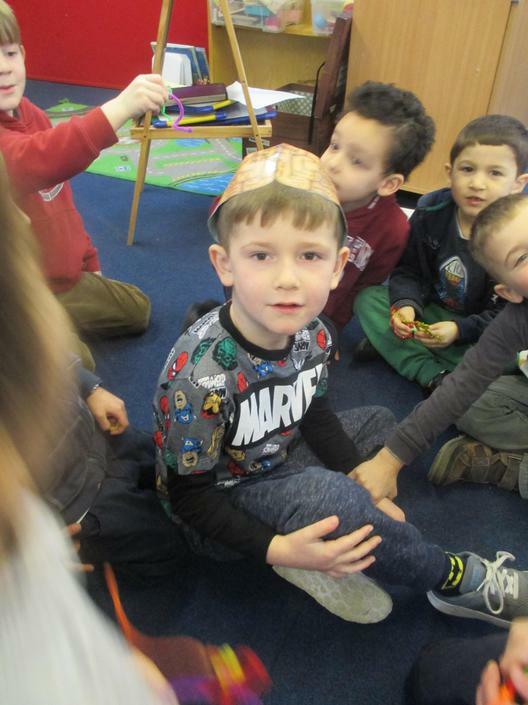 We learnt that our brains are protected by our skull and that they control what we think, how we learn, our senses and how our bodies move. 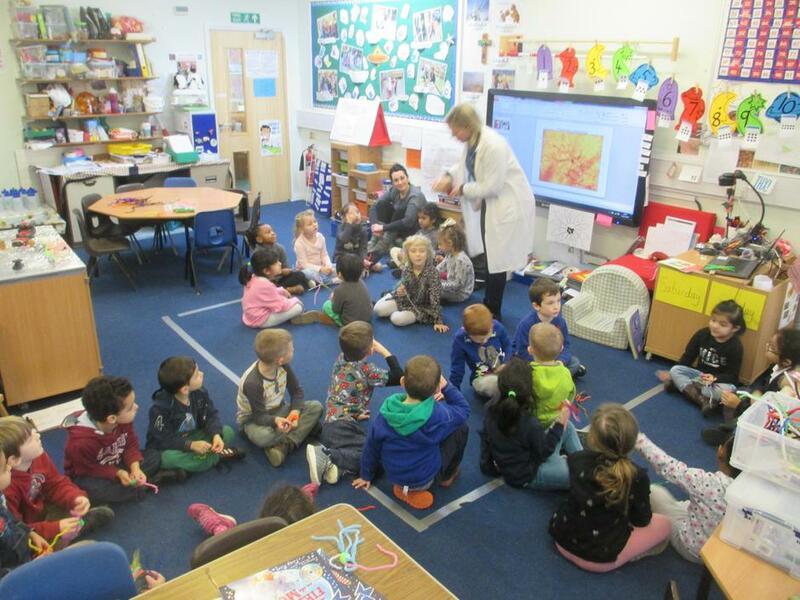 We discovered that the brain is made up of millions of cells that are too small to see, so we had a look at a picture of one under a microscope before making our own to take home. 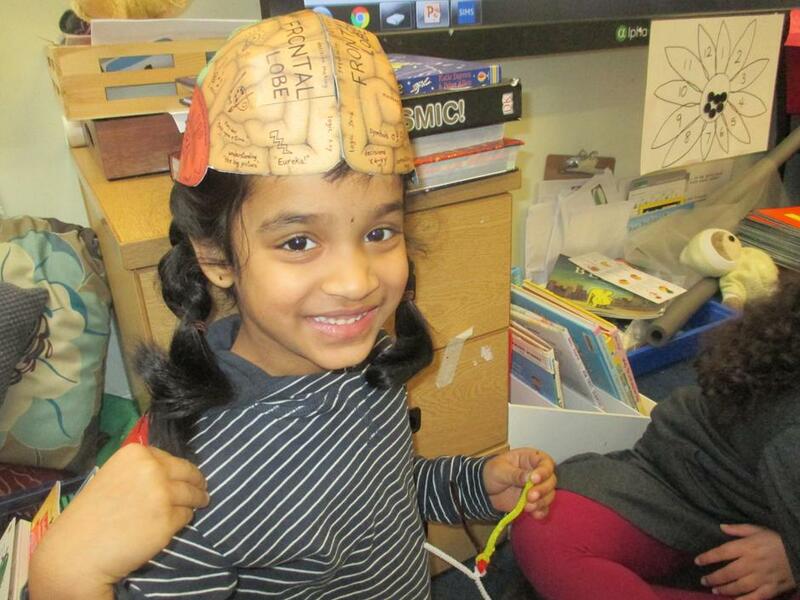 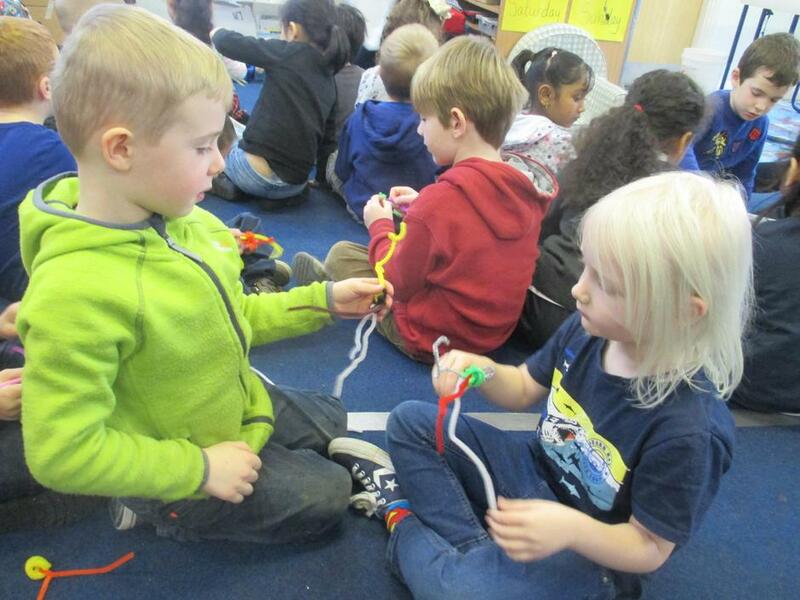 We played a game to show how messages are passed along the wire connecting our brain cells together. 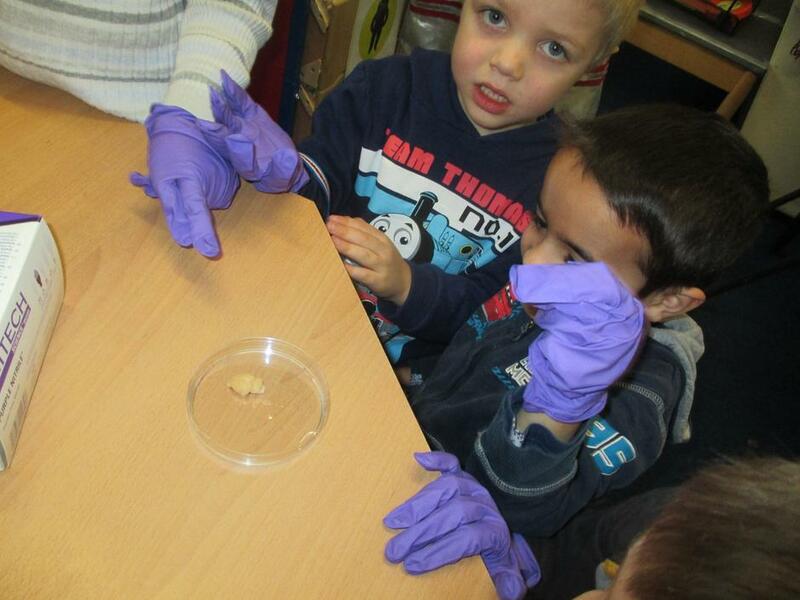 The most exciting part was touching a real brain! 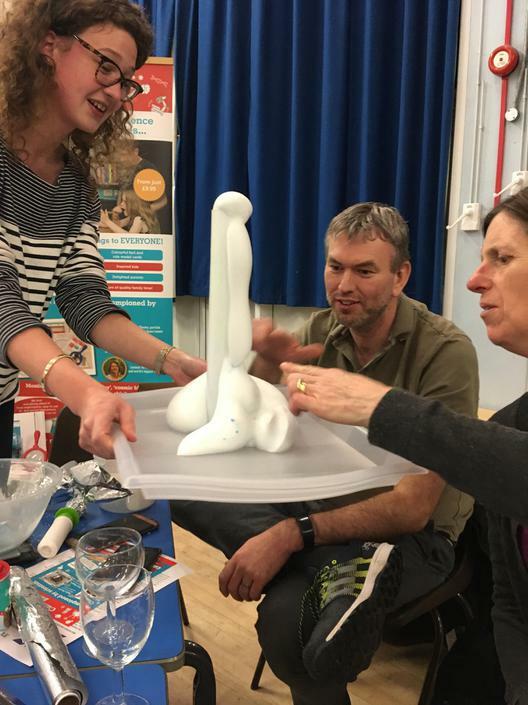 What animal do you think it might be from? 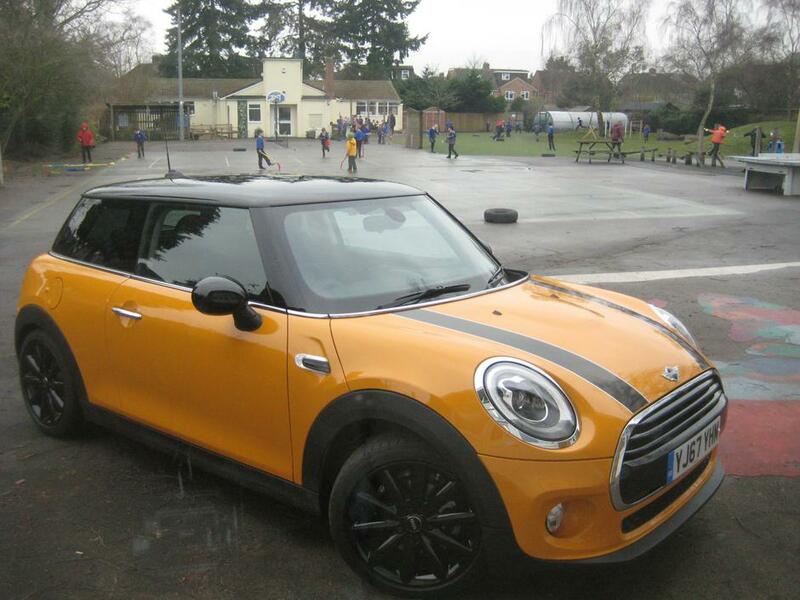 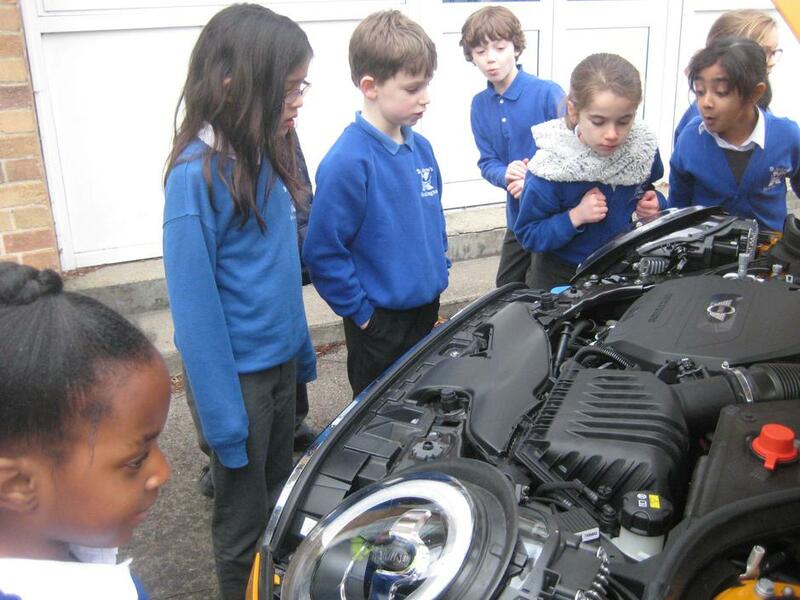 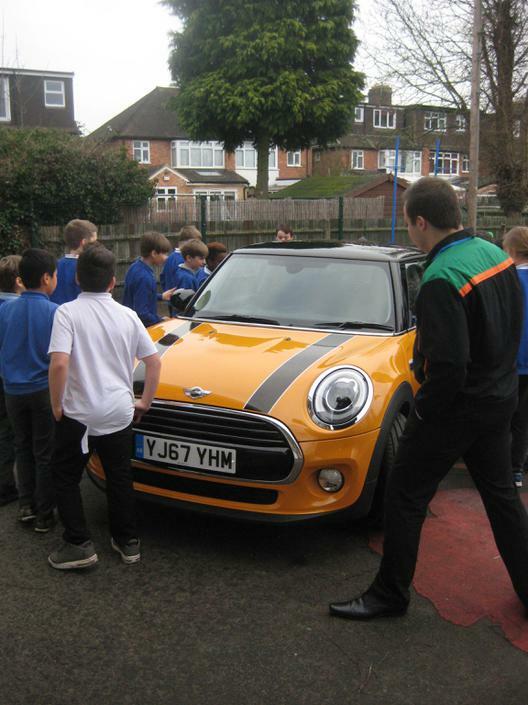 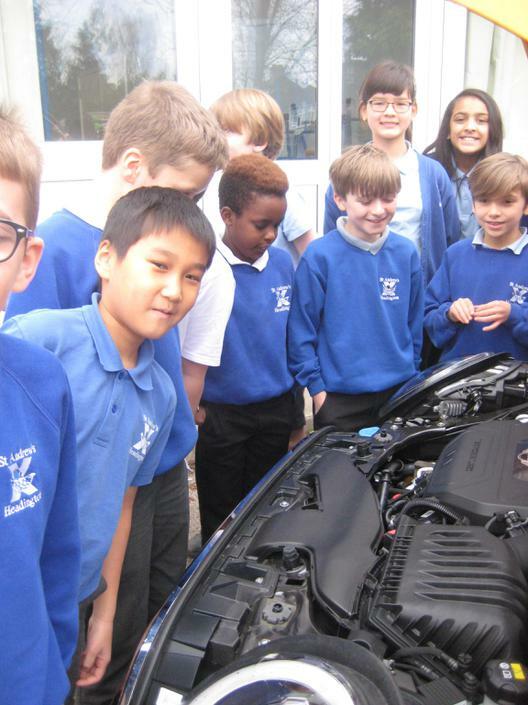 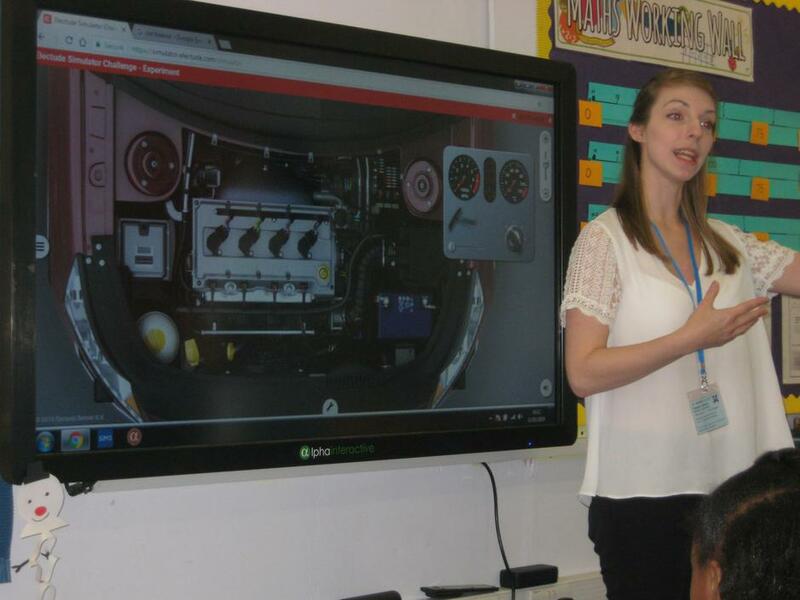 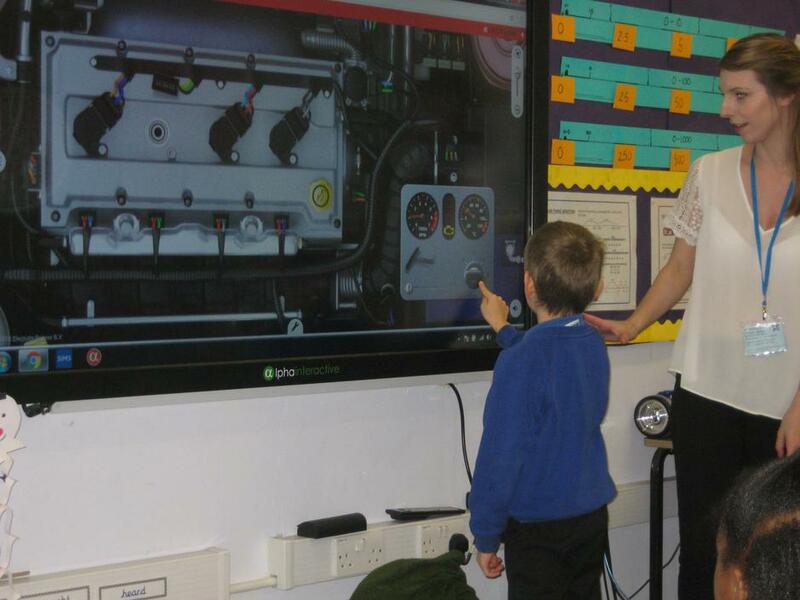 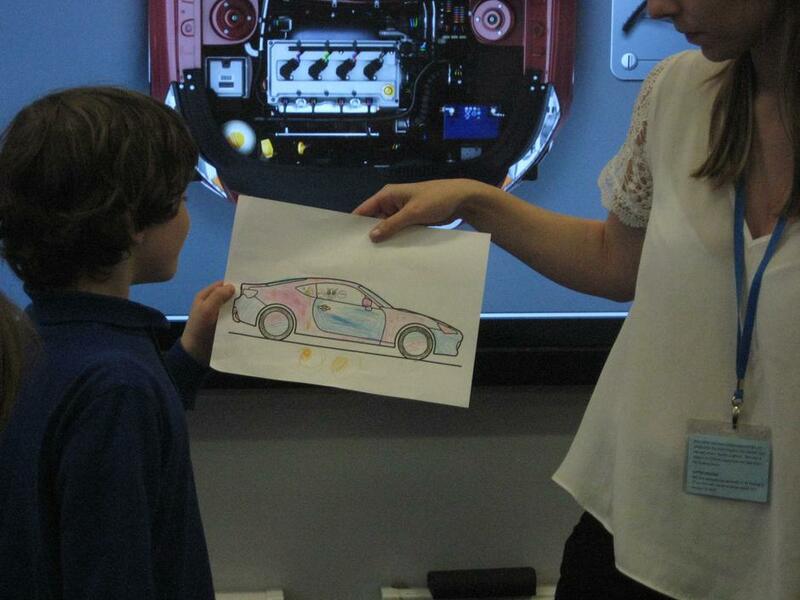 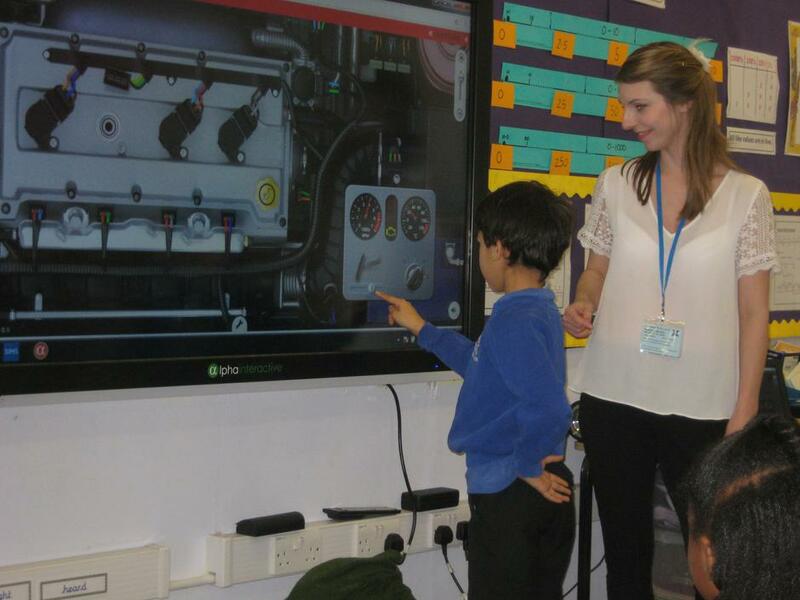 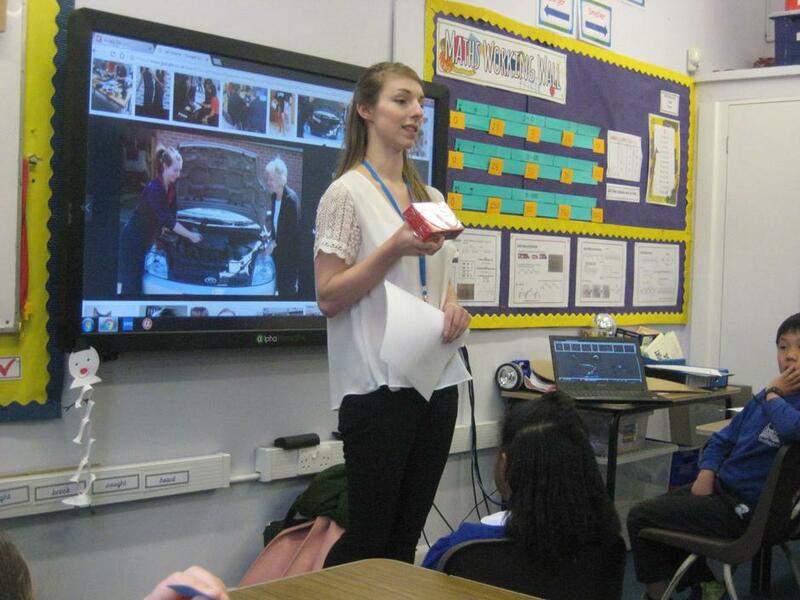 Year 3 had a talk by Cat Treanor,UK Business Development Manager for Electude, learning about more about their area of investigation - cars! 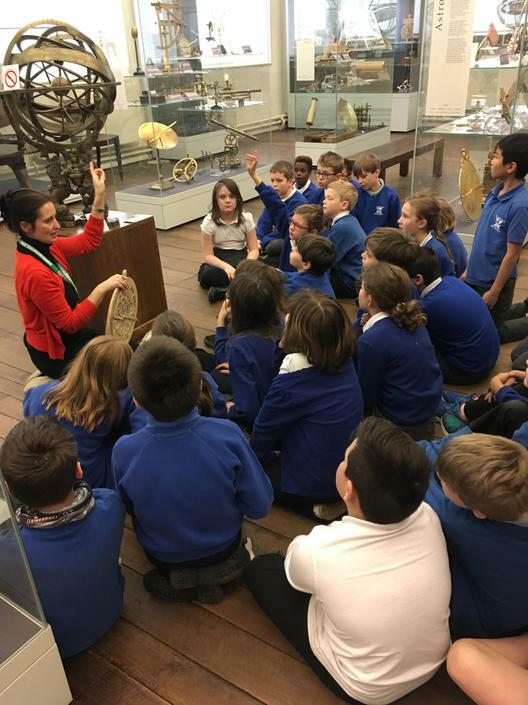 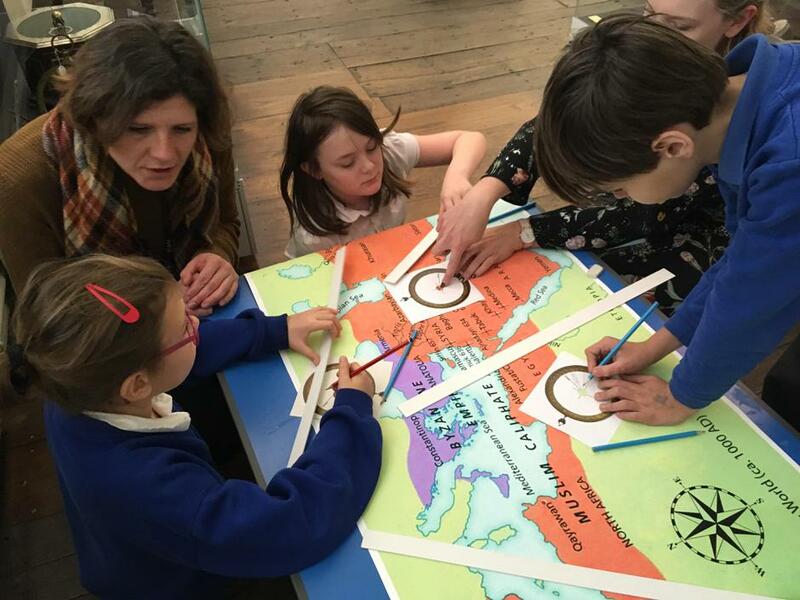 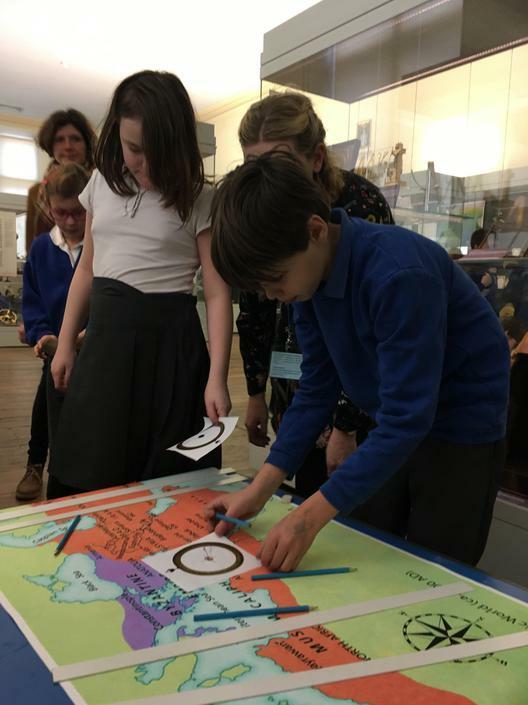 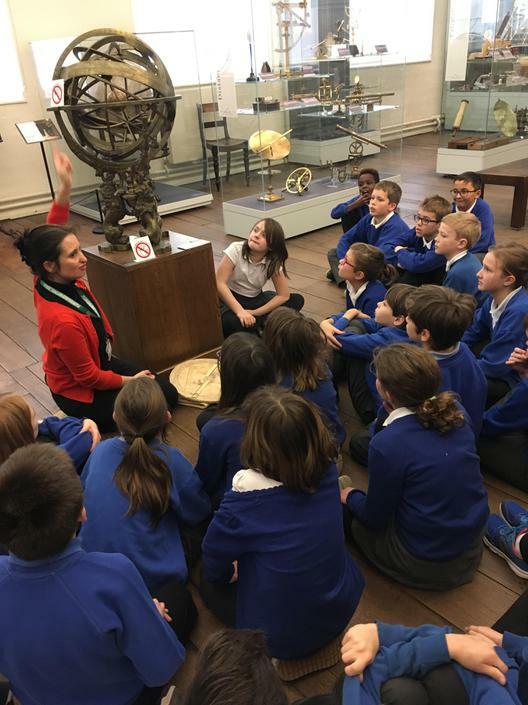 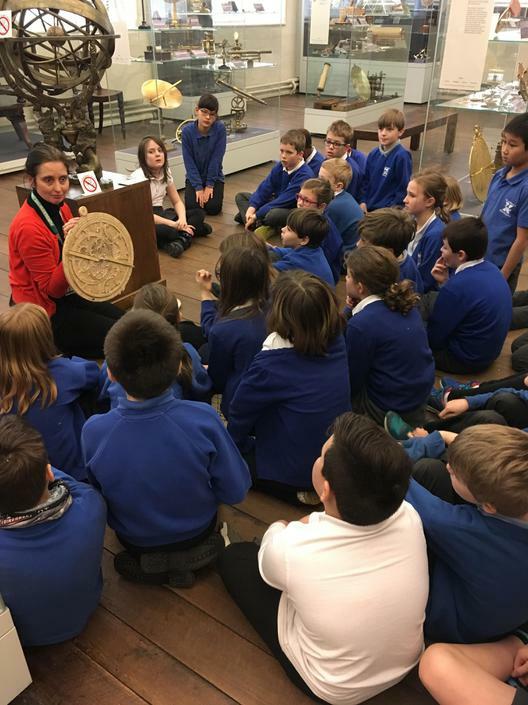 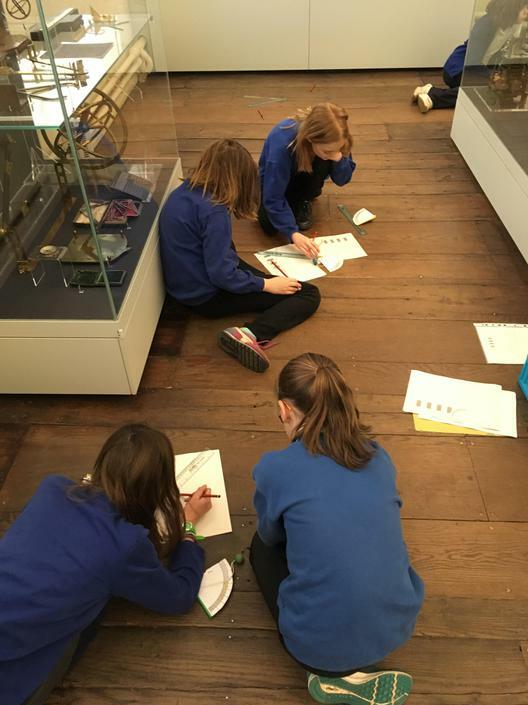 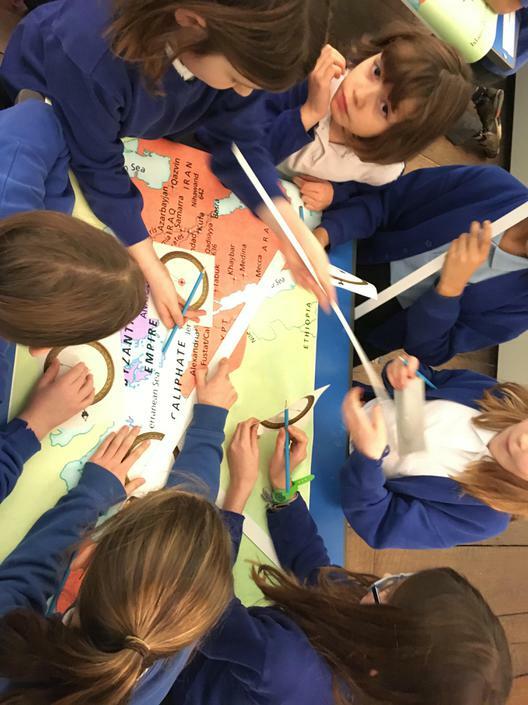 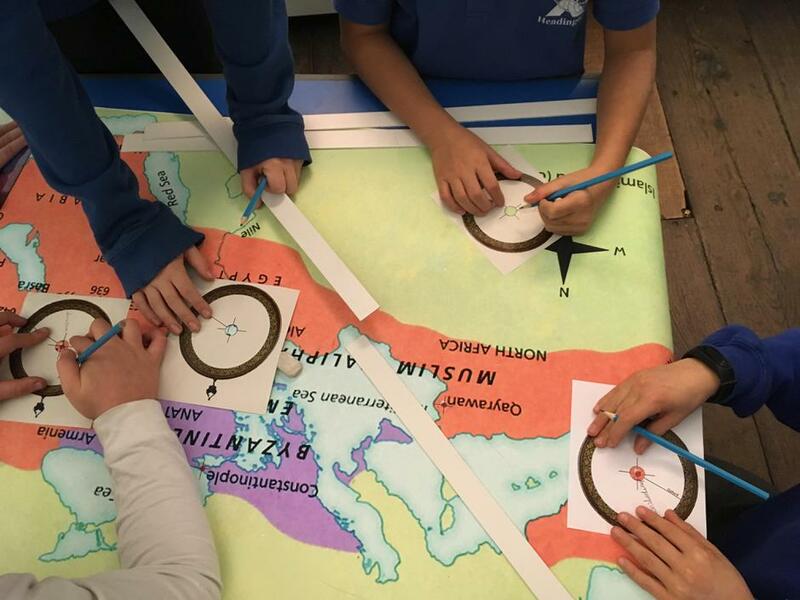 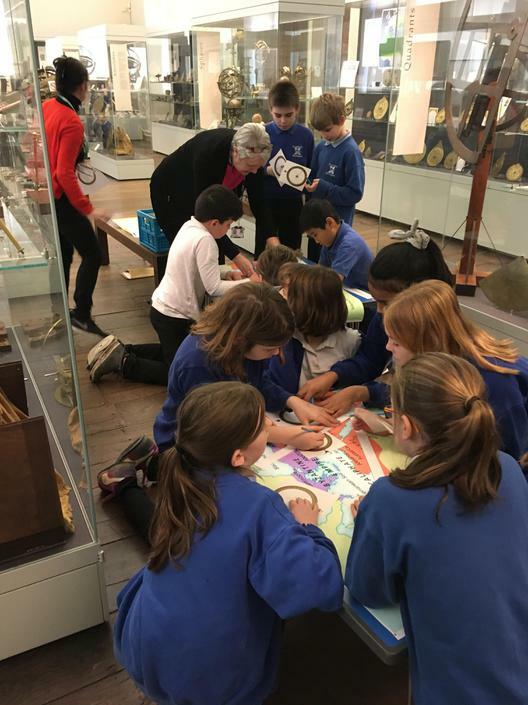 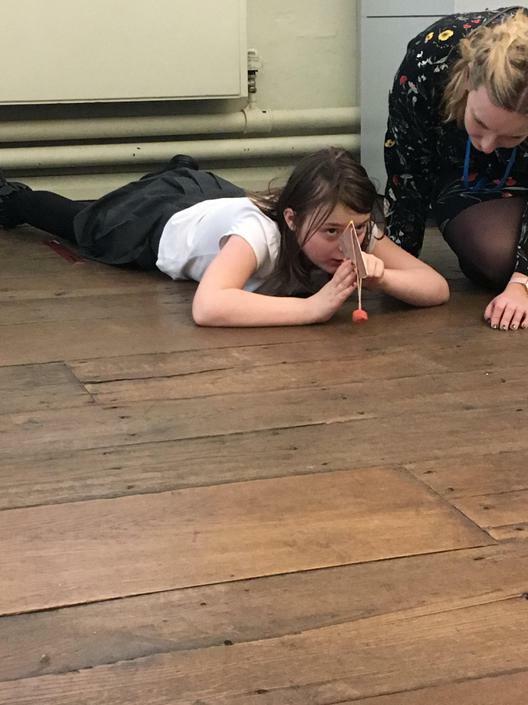 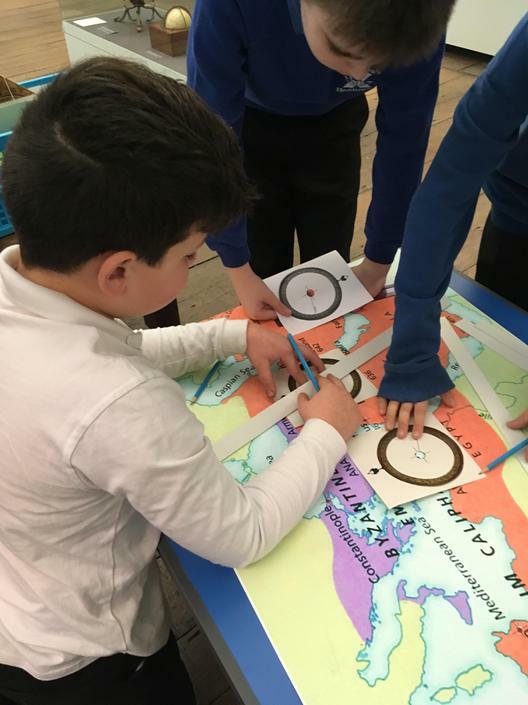 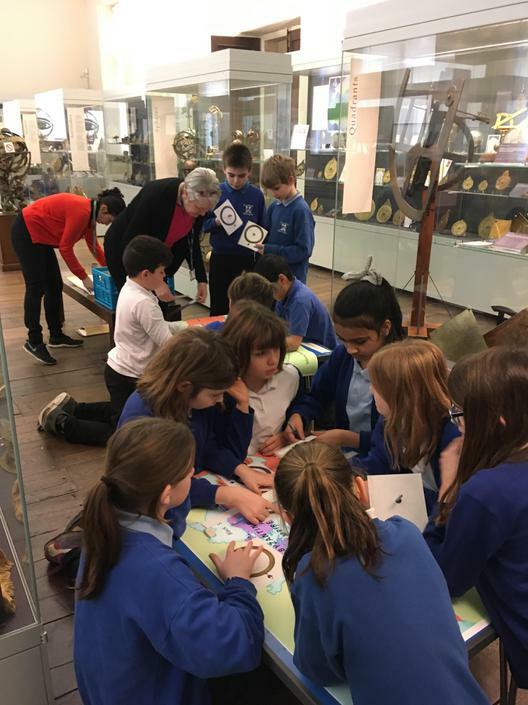 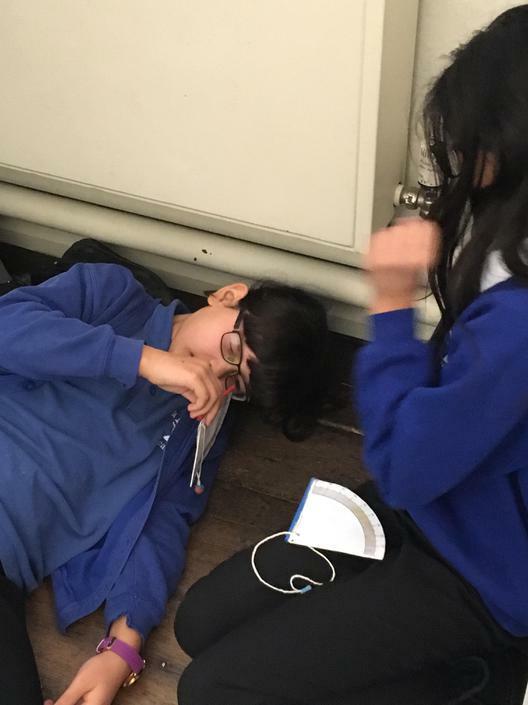 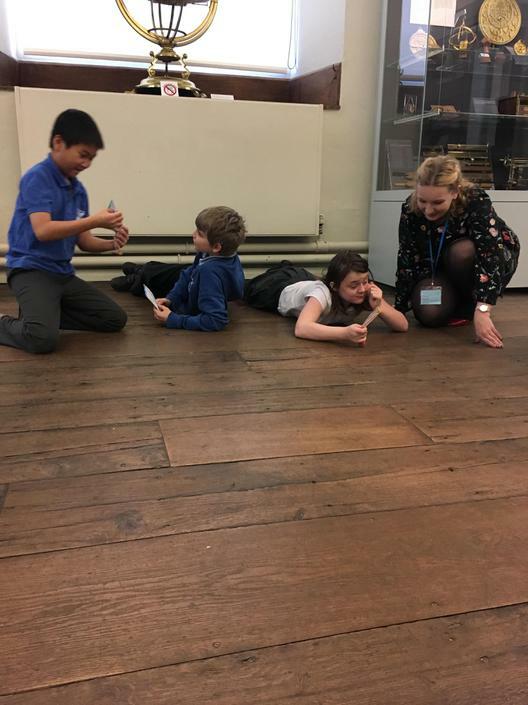 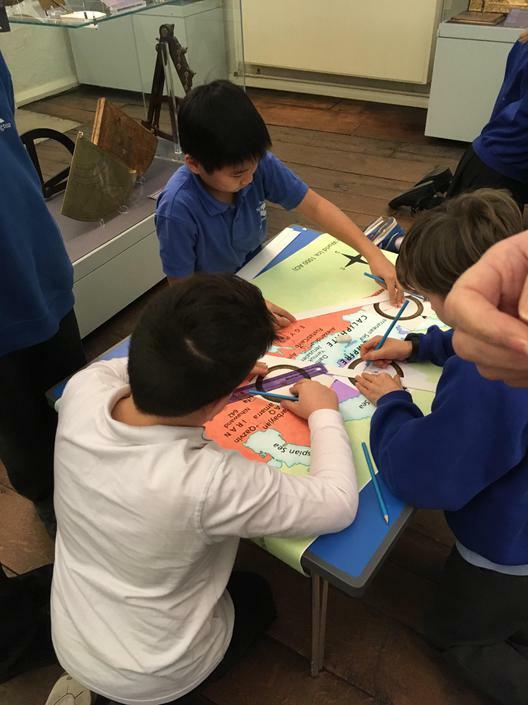 Year 6 had an interesting and informative time at the History of Science Museum: learning about quadrants, quibla indicators and astrolabes! 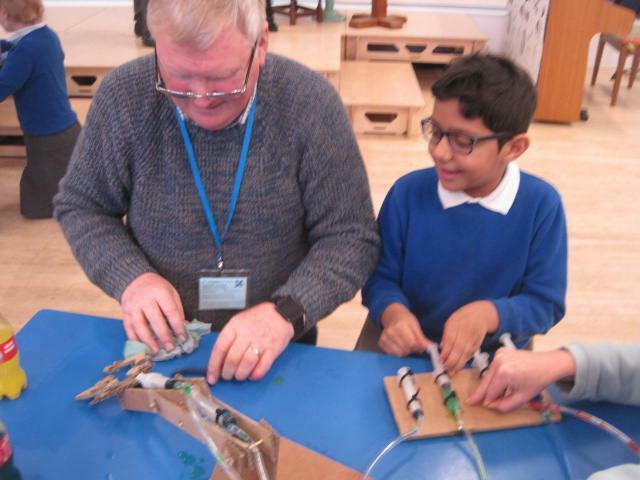 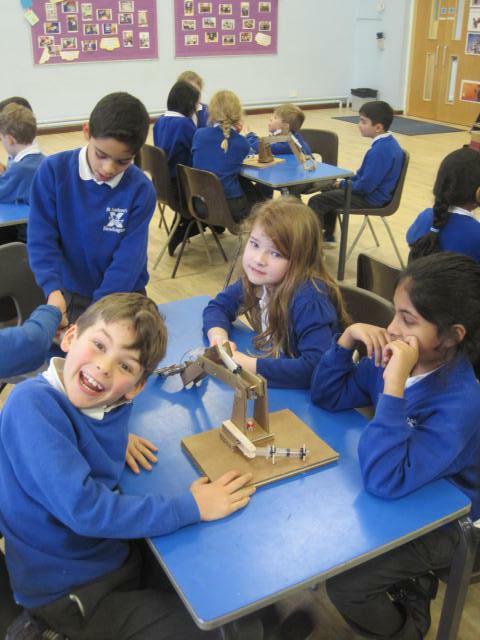 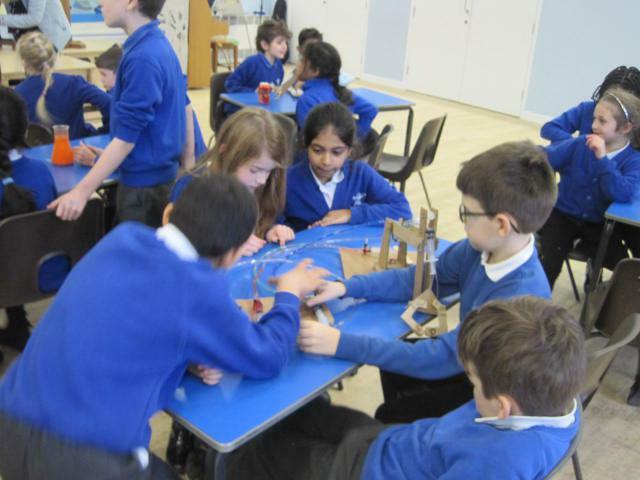 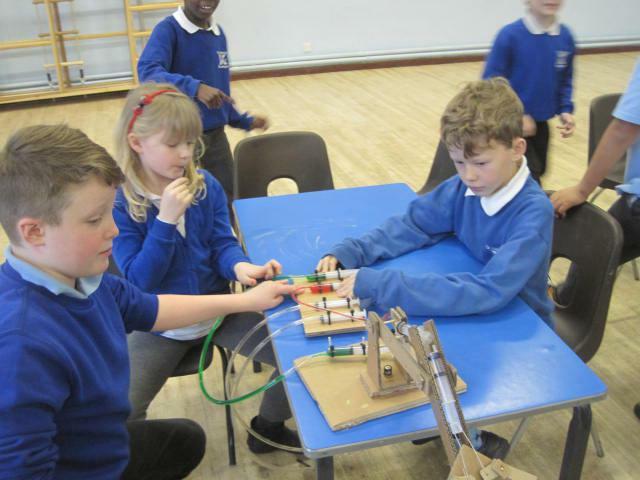 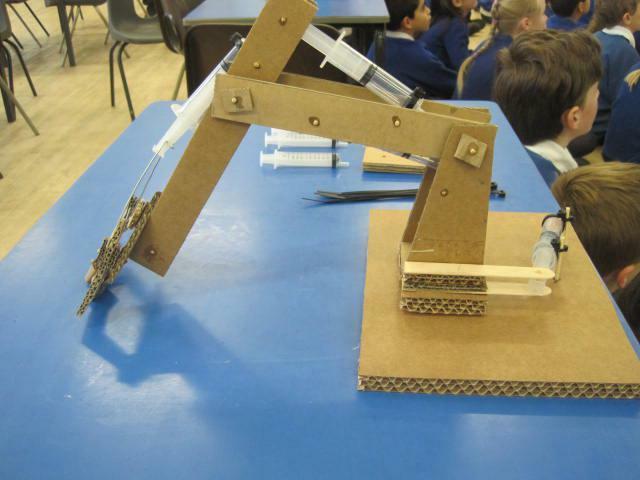 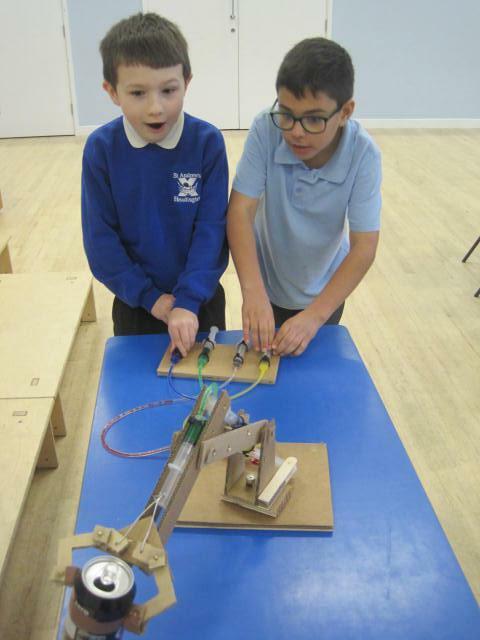 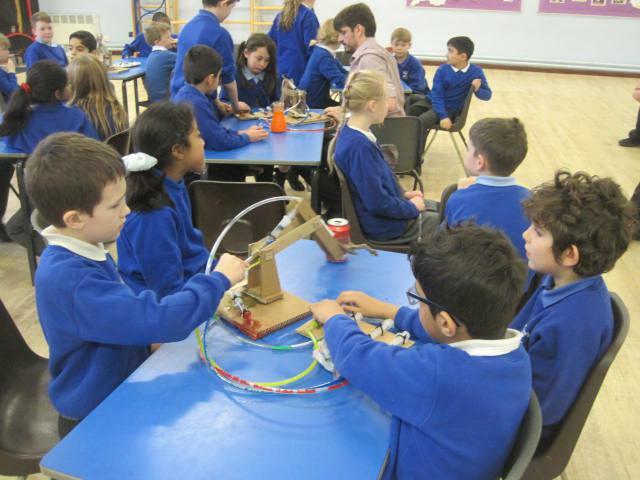 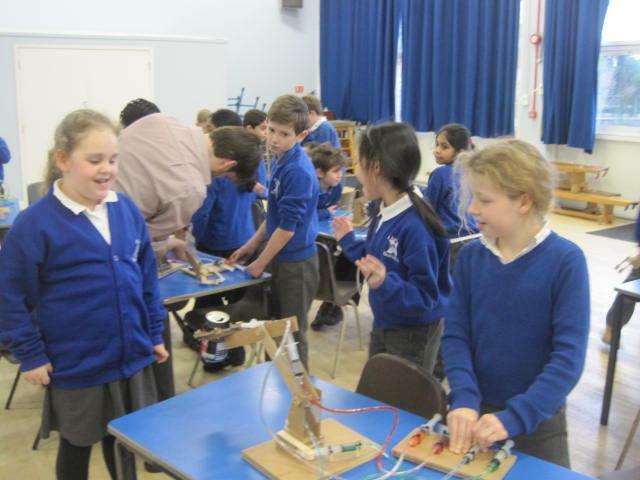 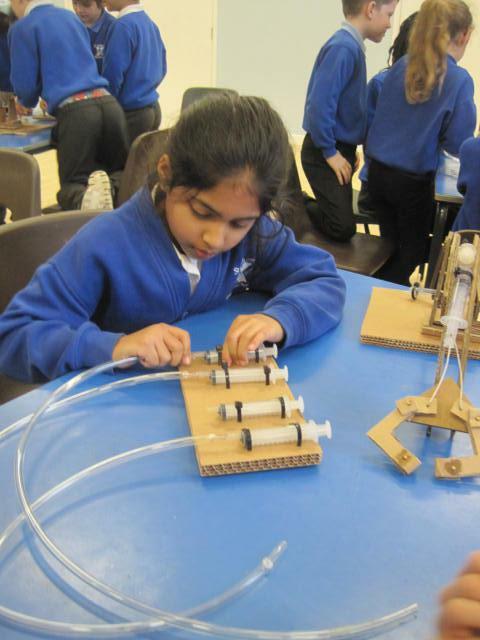 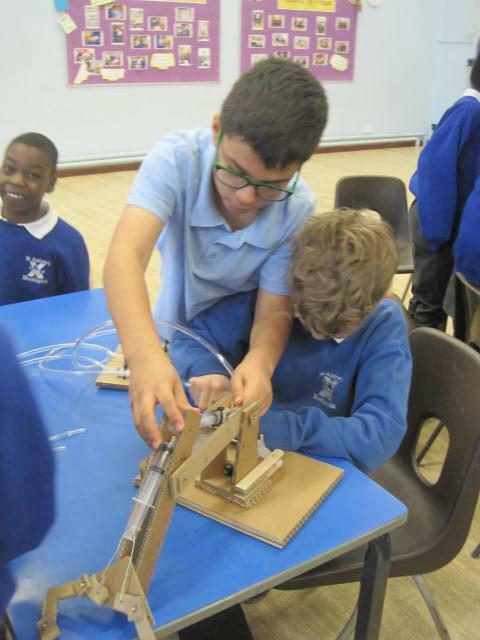 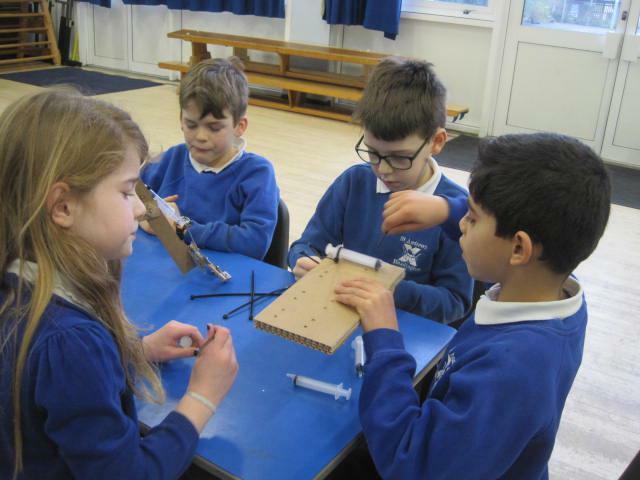 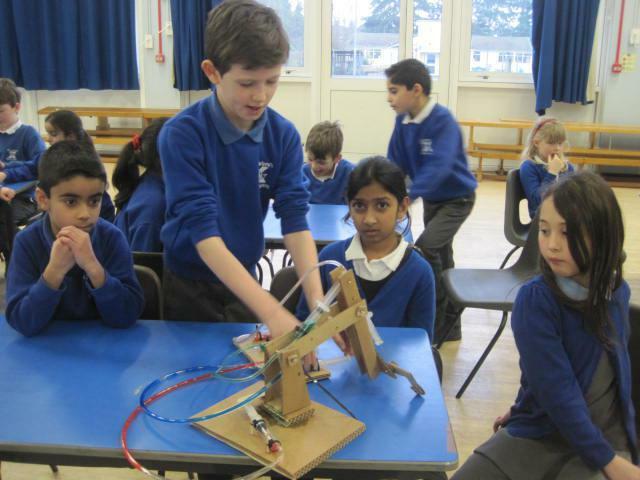 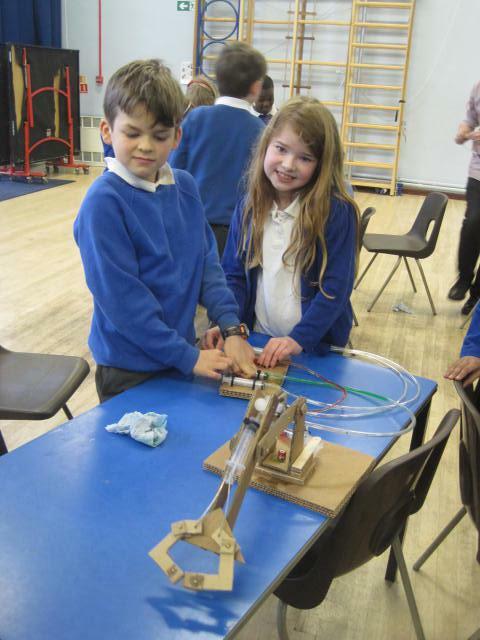 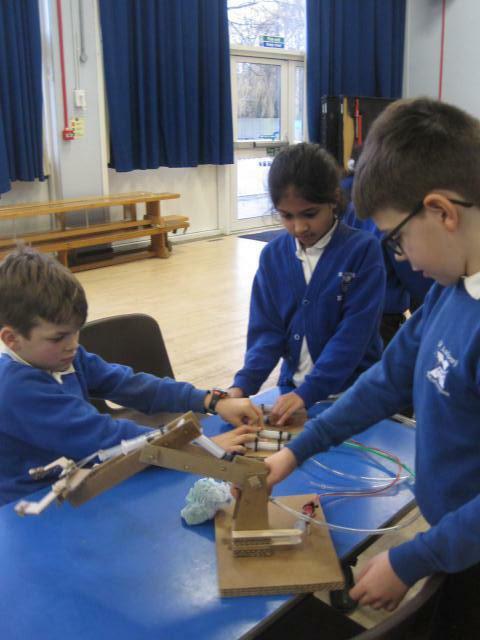 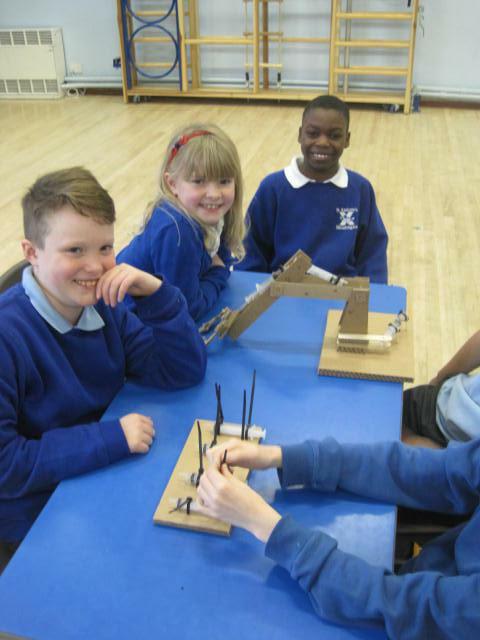 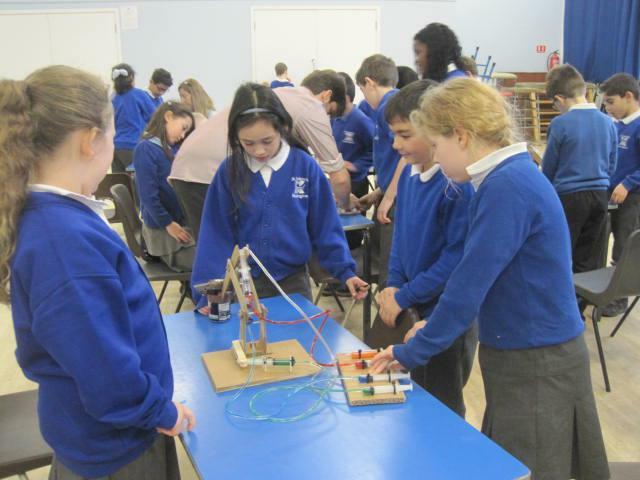 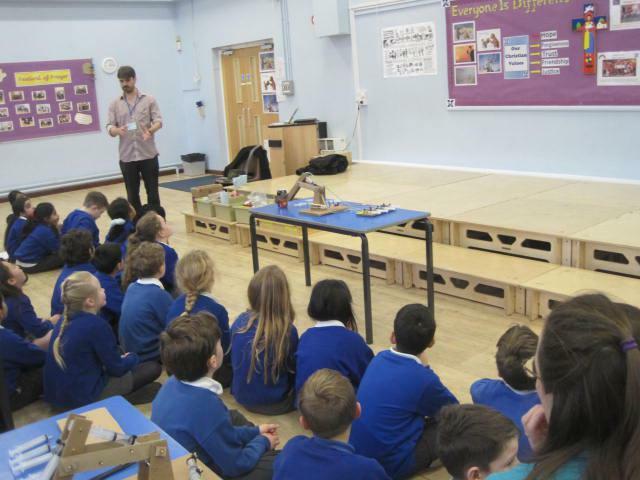 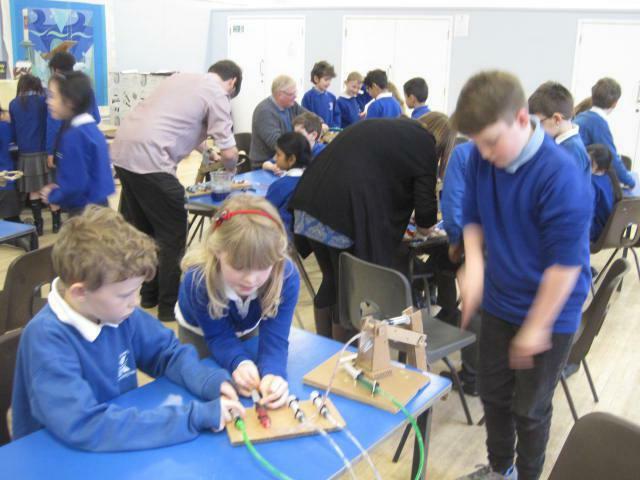 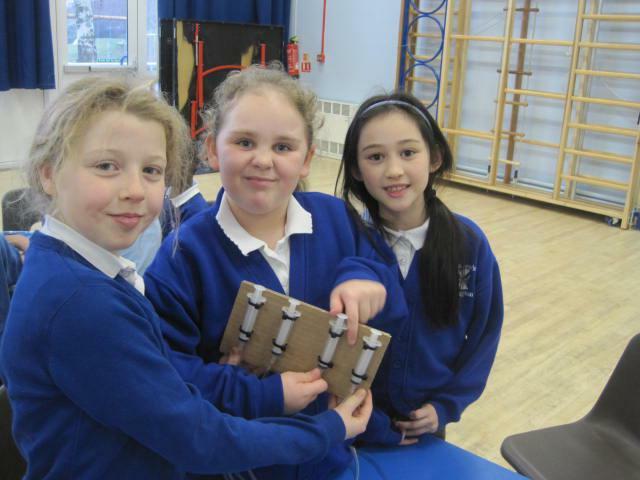 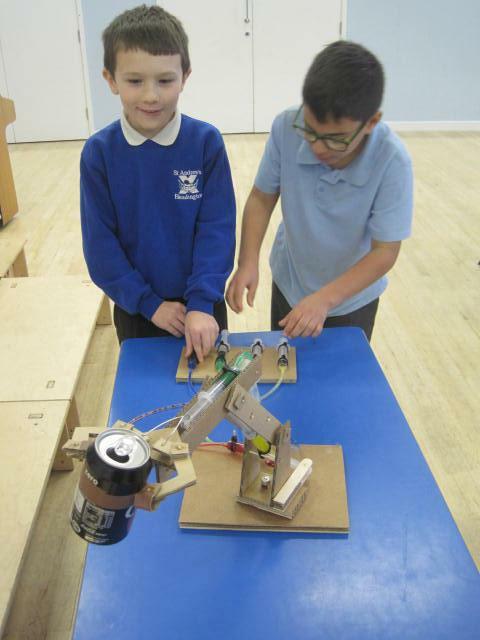 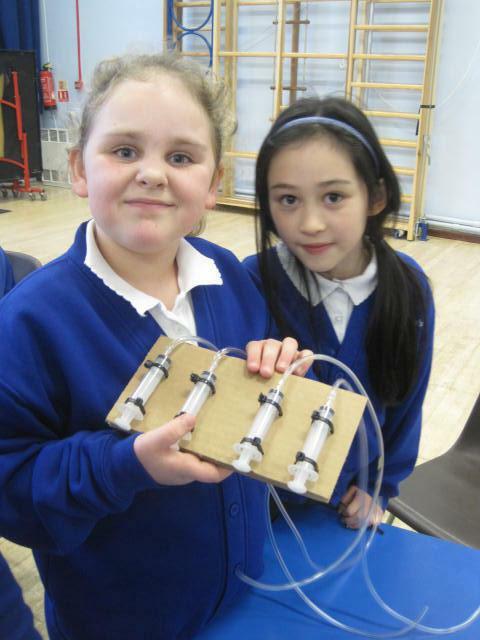 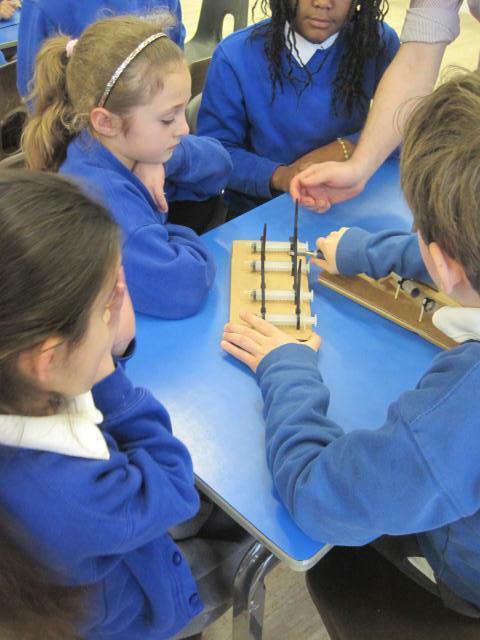 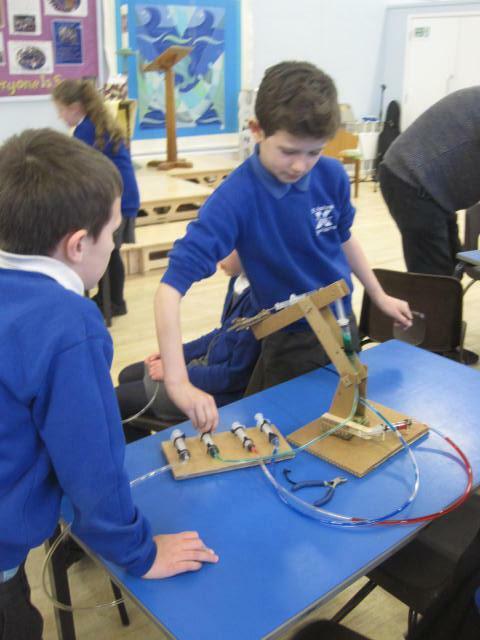 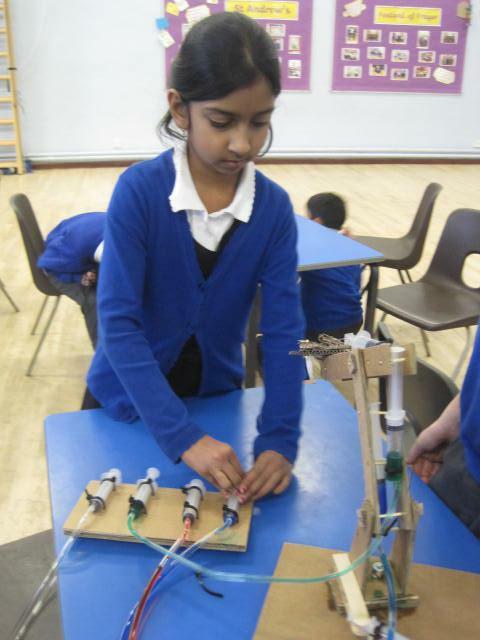 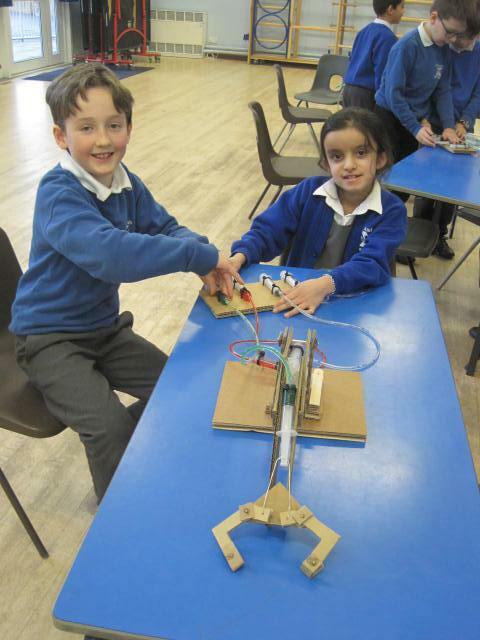 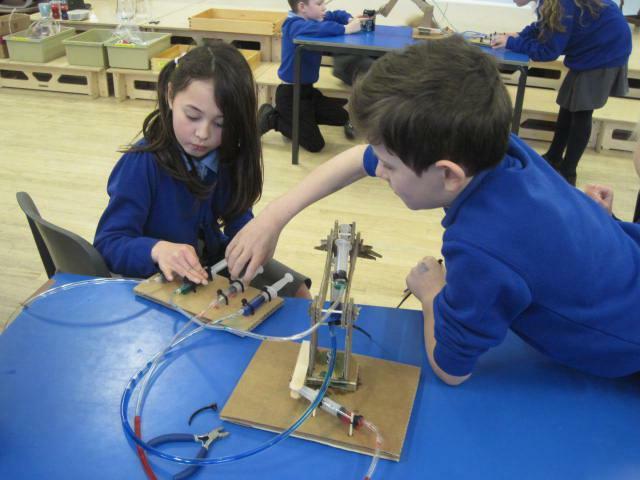 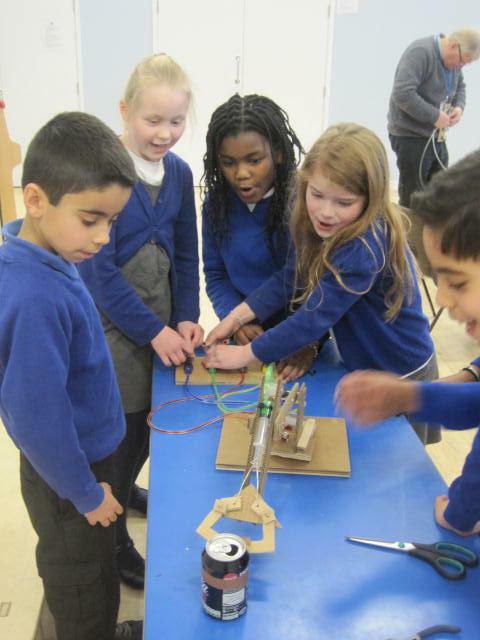 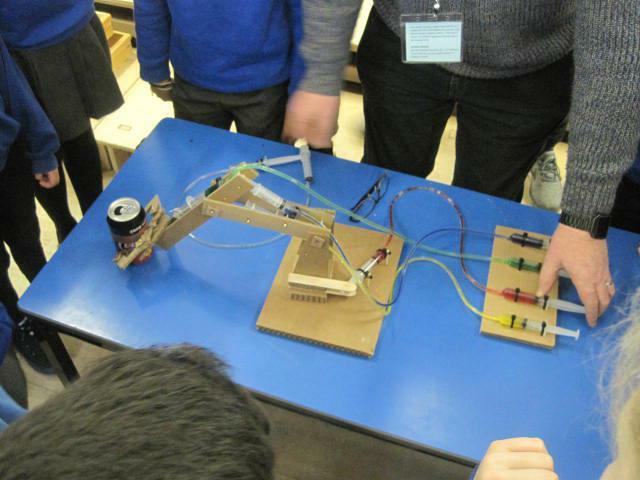 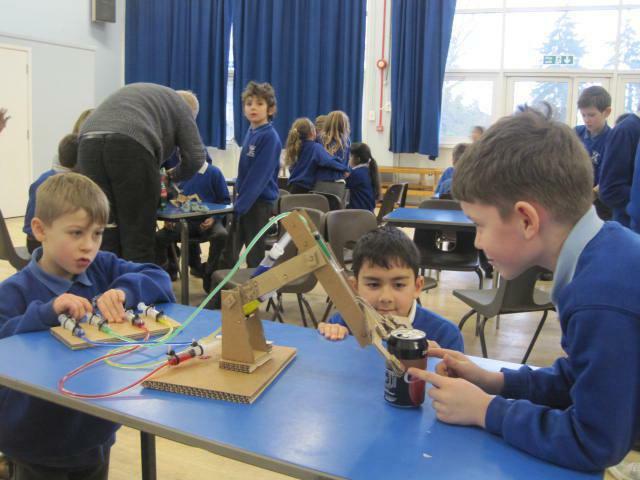 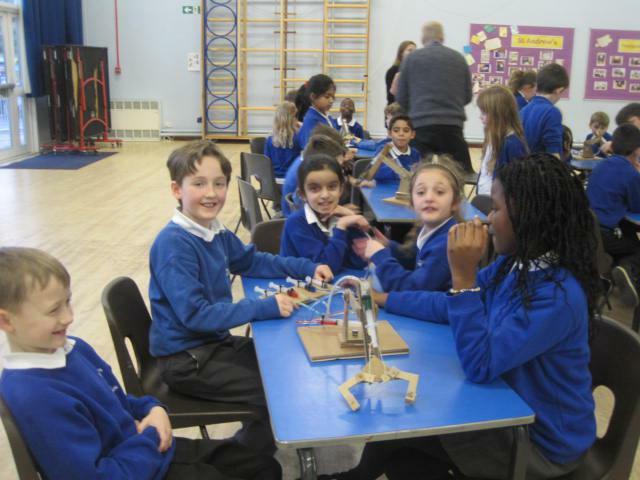 Year 4 had a fantastic afternoon making and testing hydraulic pump robot arms! 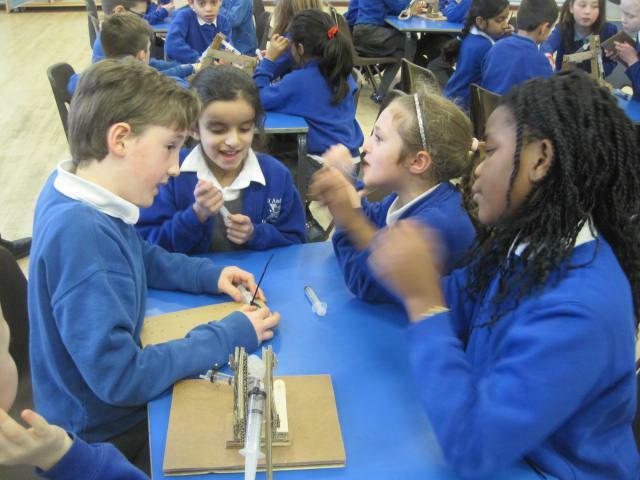 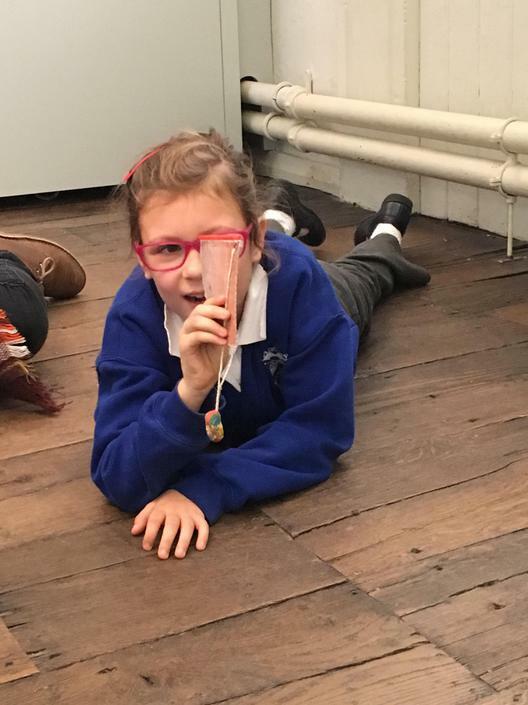 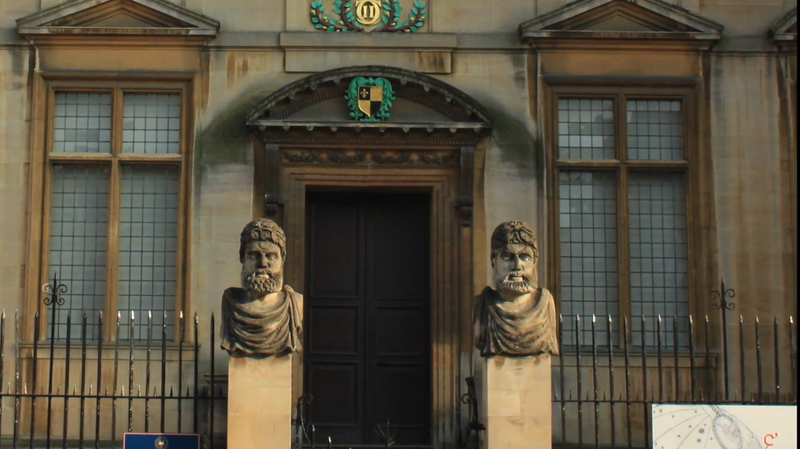 Year 1 visited the History of Science Museum. 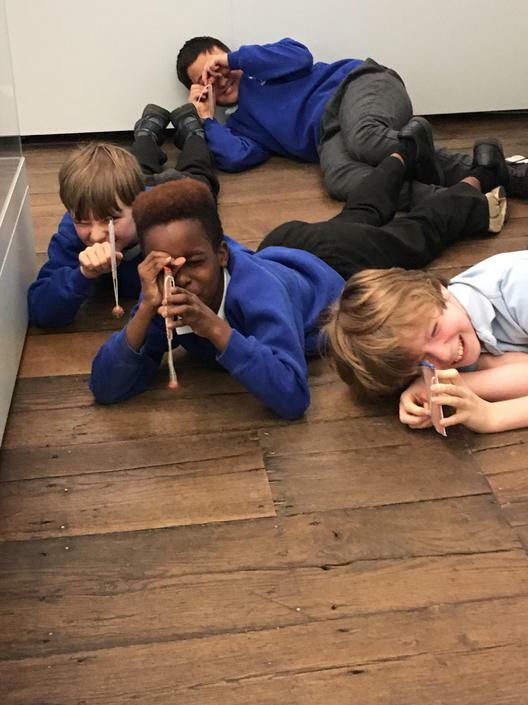 We are looking at magnification, so we got to use some 'real' microscopes and look at other microscopes that have been used throughout history.